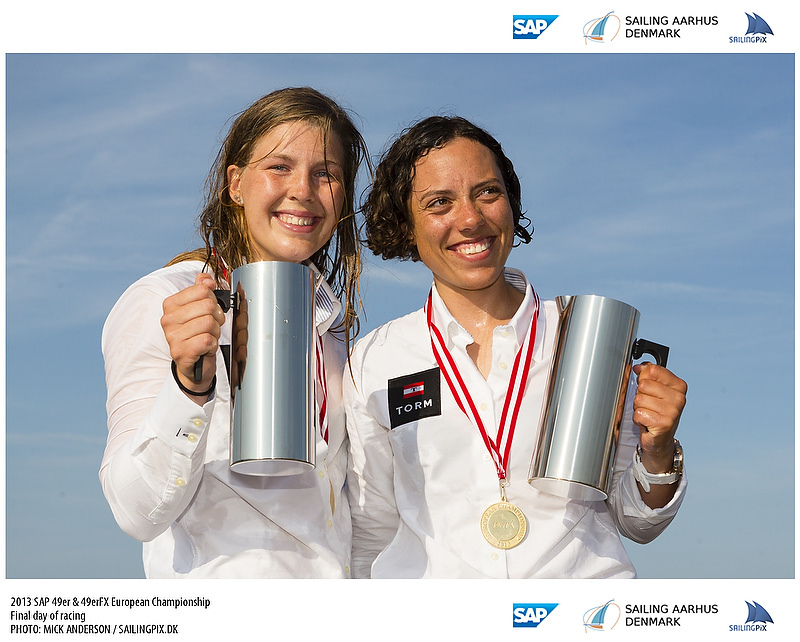 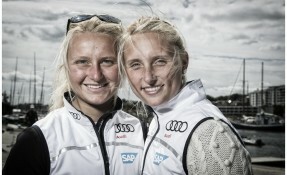 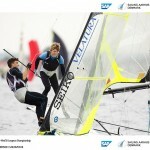 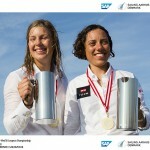 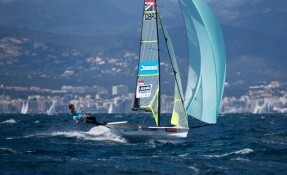 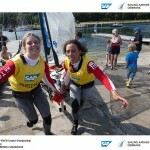 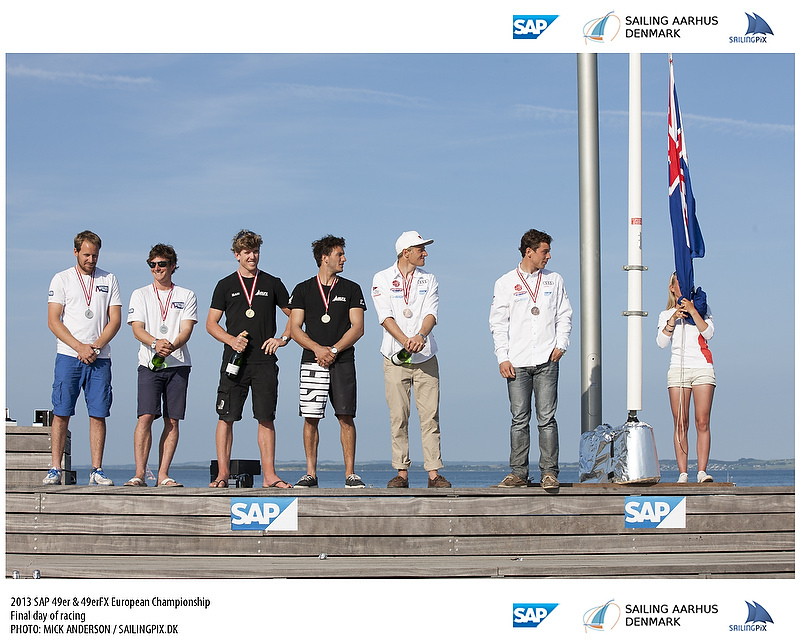 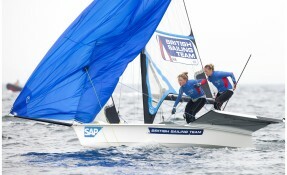 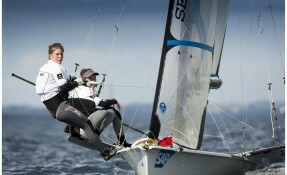 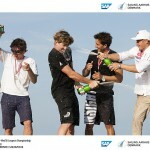 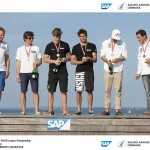 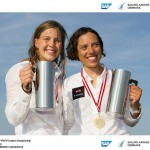 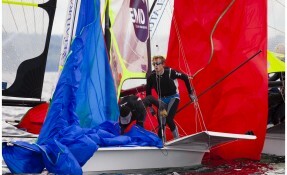 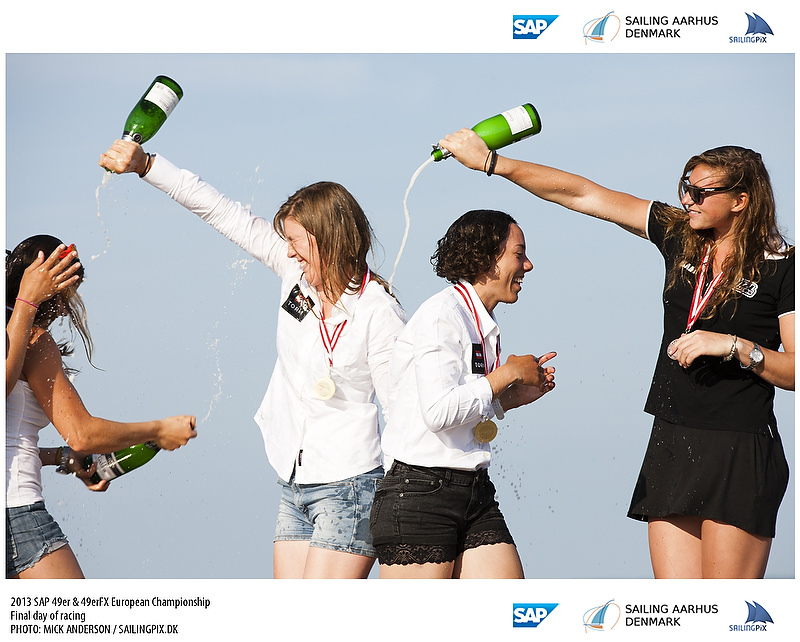 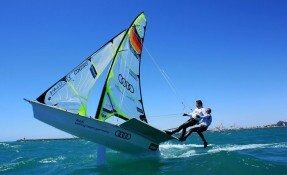 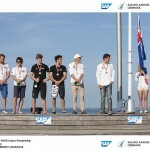 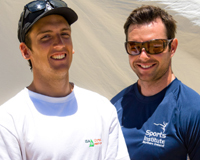 The 2013 49er Class European Championships will be a wonderful championship for sporting fans. 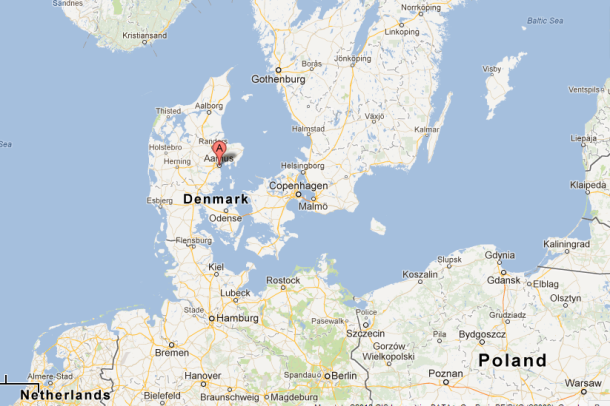 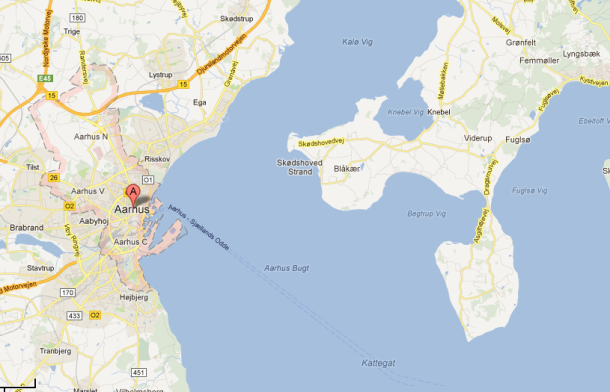 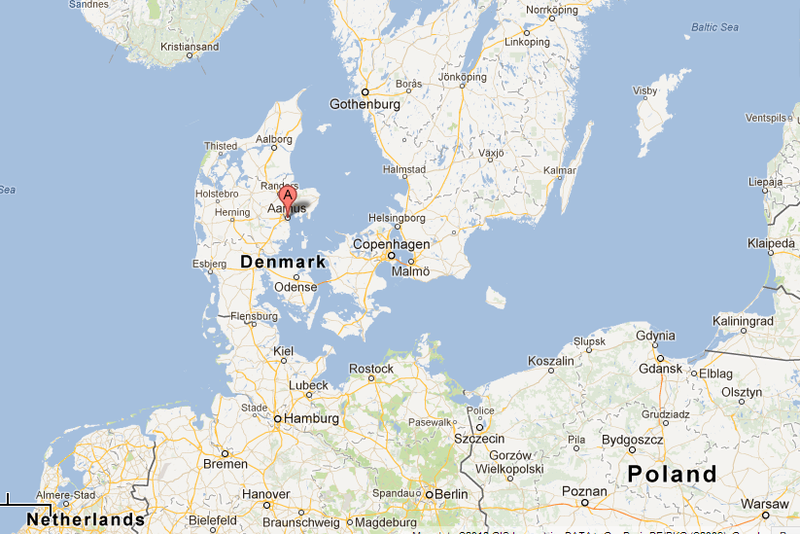 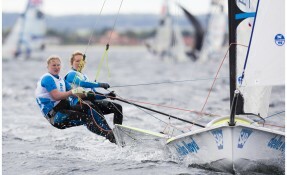 From July 2-7, 2013, the venue of Aauhus, Denmark, home base for Danish 49er sailors, is hosting the world’s best sailors and they are keen to defend their home waters. 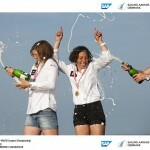 This championship is special for a number of reasons. 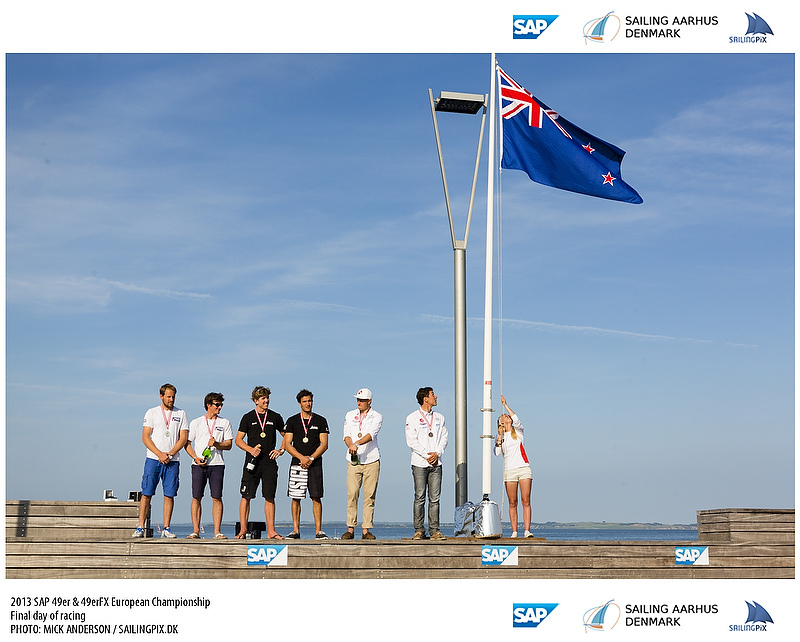 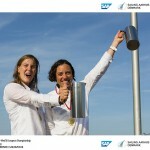 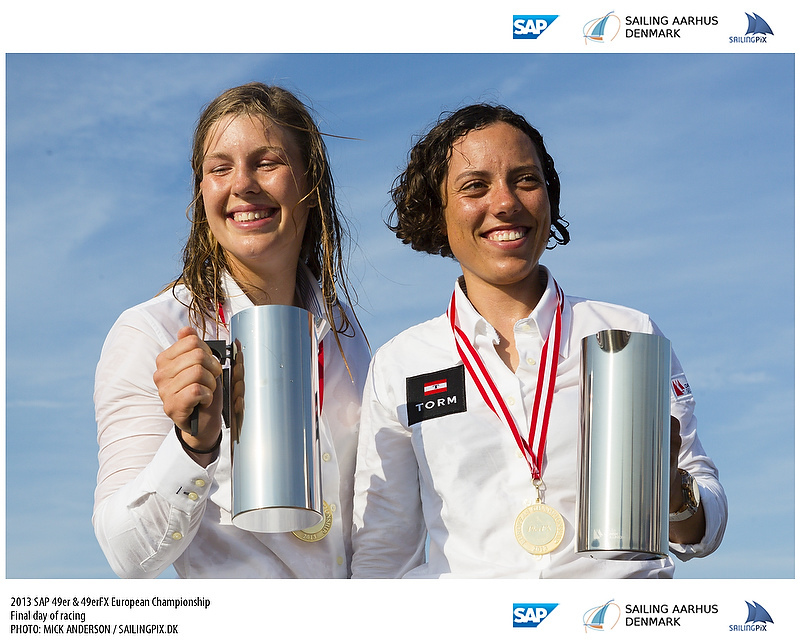 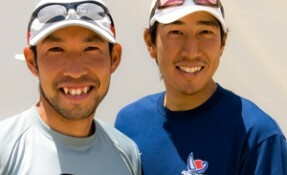 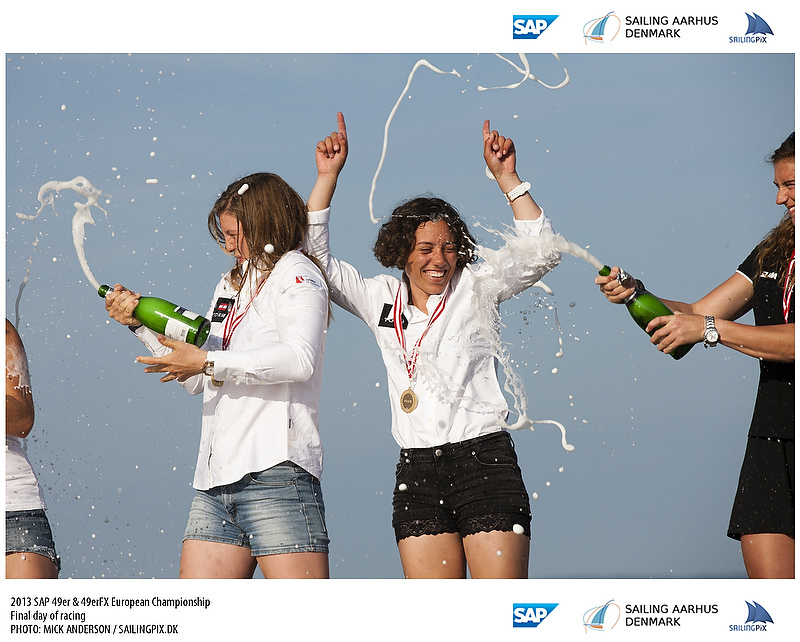 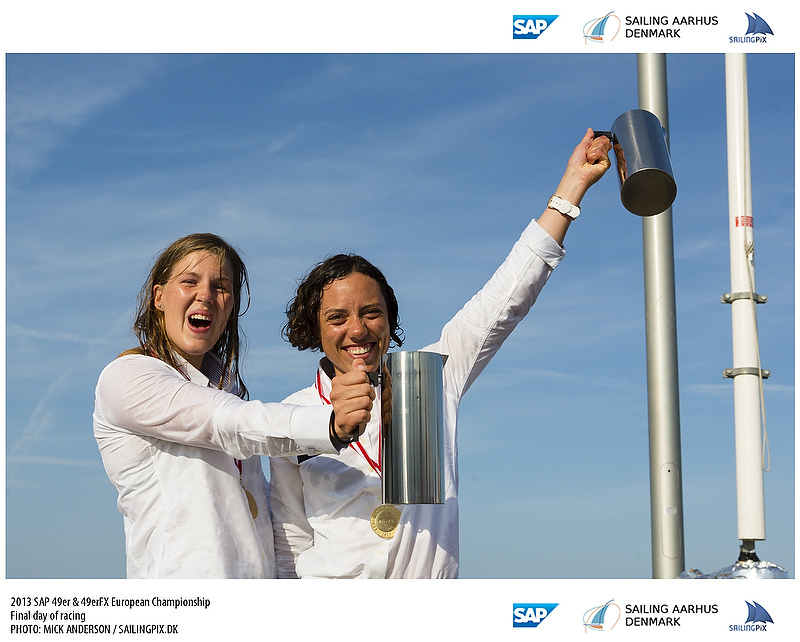 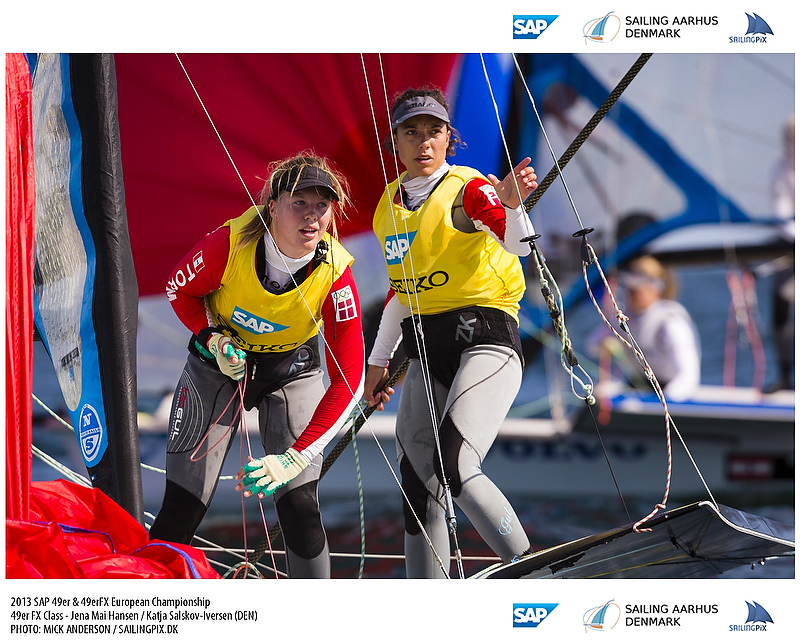 The 49er class, with our partners Seiko and SAP, are proud to announce there will be live coverage of the event both on the web. 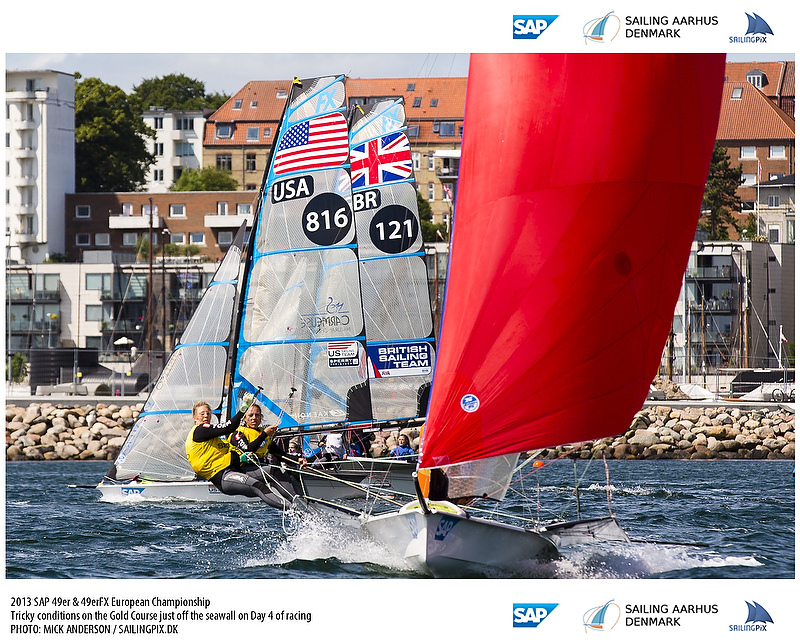 We will be airing 4-5 hours of racing each day of the final series so 49er sailing fans will get to watch our champion emerge. 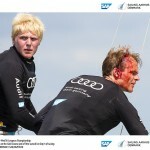 And what a battle it will be. 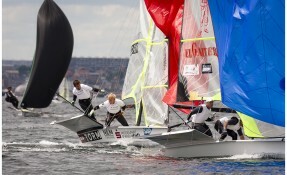 The 2013 European Championship is the first big event of the Rio quadrennial. 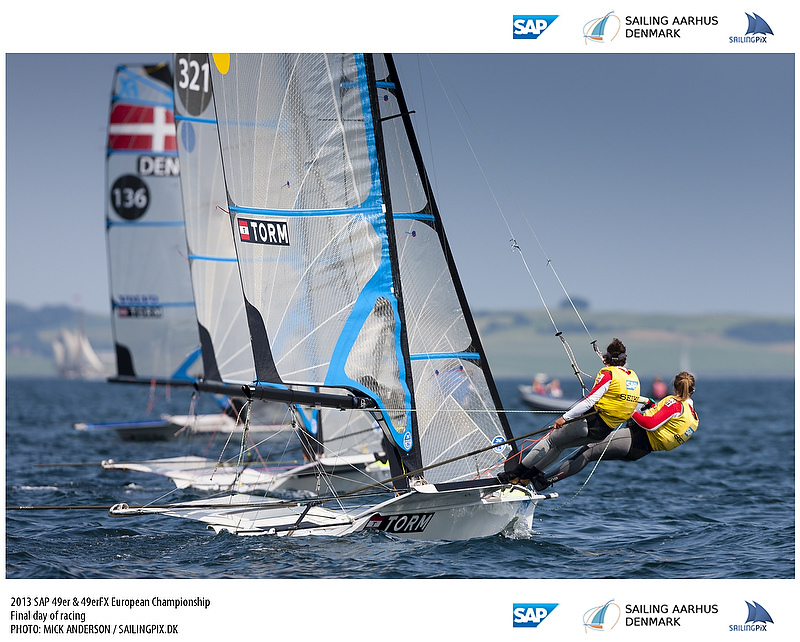 Teams are fighting hard to place themselves in the championship conversation and get into the elite group of sailors in the world. 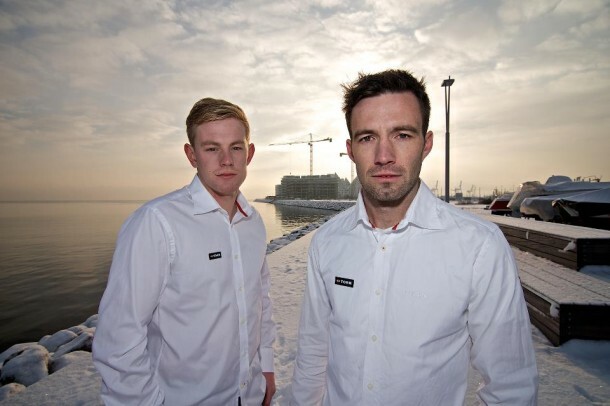 Even within Team Denmark the battle will be intense, 2008 Olympic Gold medalist, Jonas Warrer and 2012 Olympic Bronze medalist, Allan Norregaard, are both vying to be the top Danes. 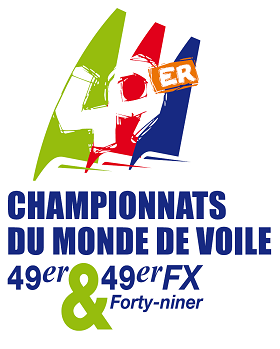 We also have the addition of the 49erFX event to the championship schedule. 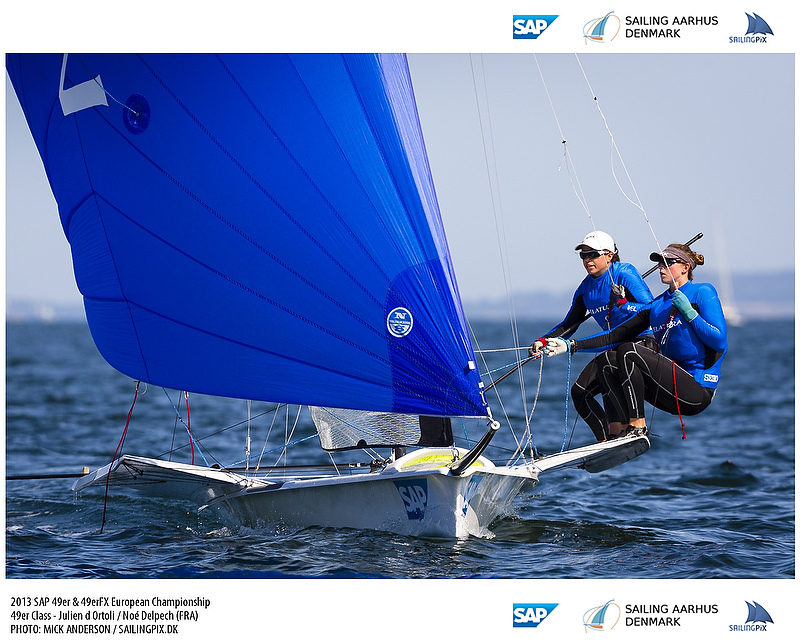 This class is familiar to sailing fans as the boats are identical to the 49er with an updated sail plan for lighter women’s teams. 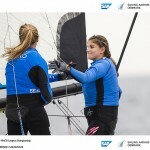 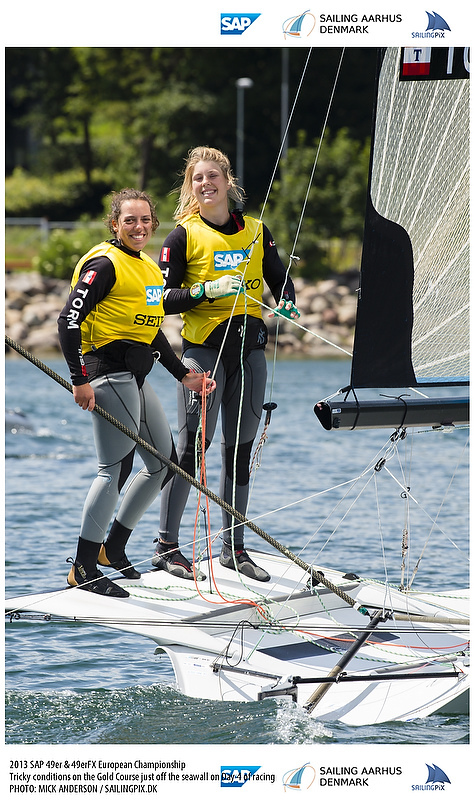 While it may look similar, the 49erFX is proving to be faster downwind in windy conditions, and the girls are loving it… when they’re not competing full on for the win that is. 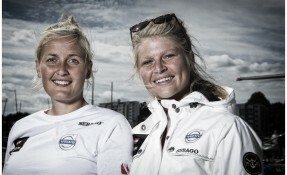 On the women’s side of Team Denmark, the Danish Battle will be equally intense. 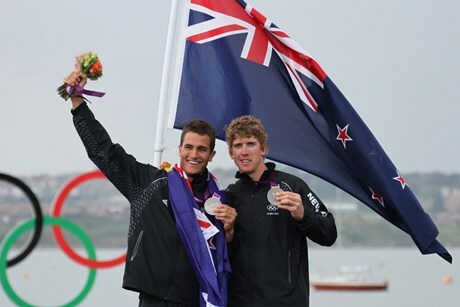 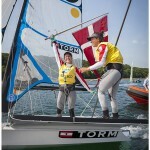 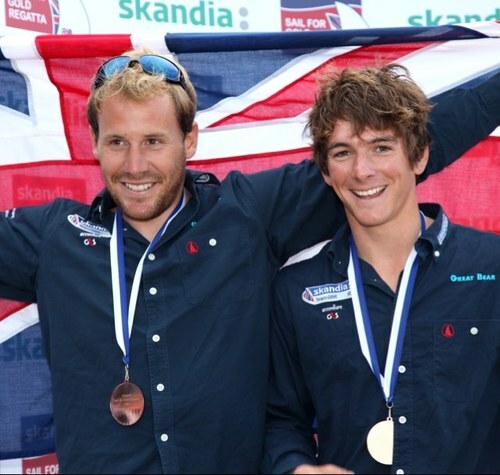 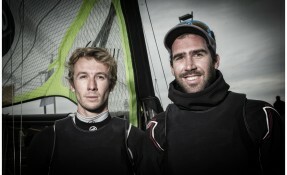 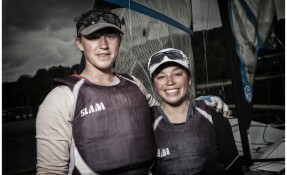 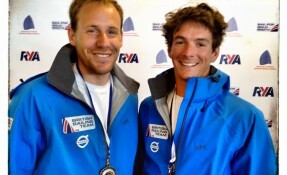 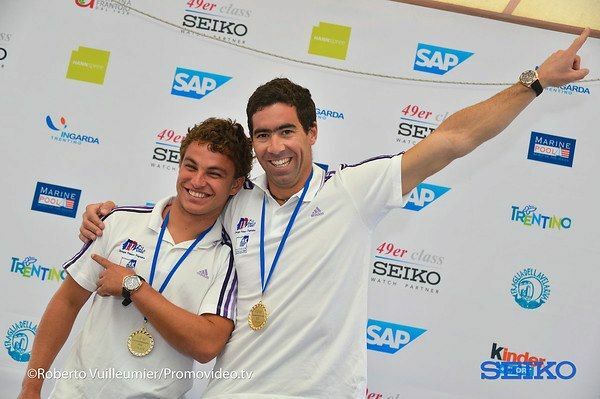 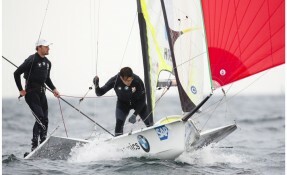 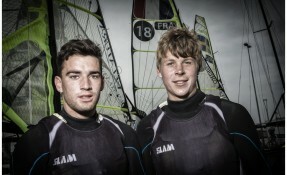 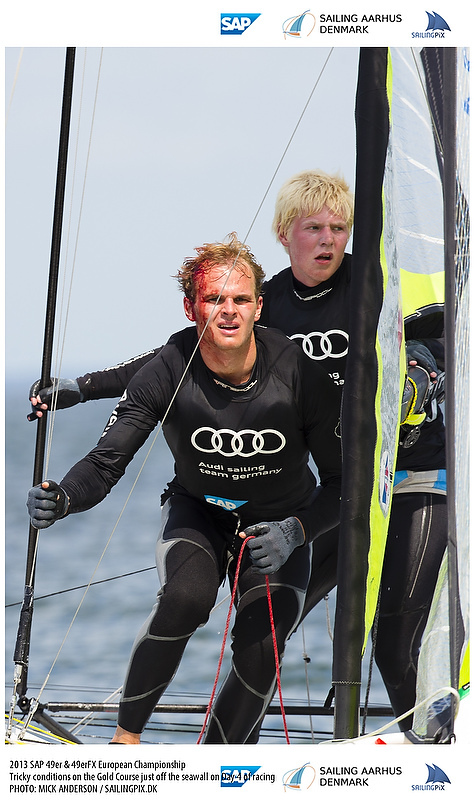 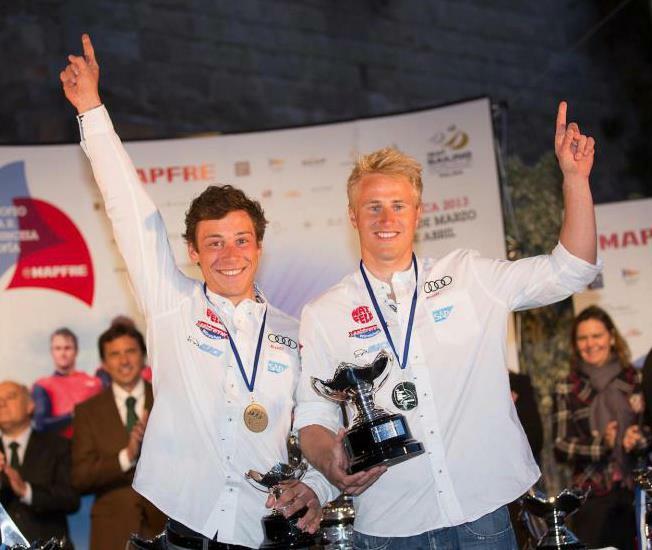 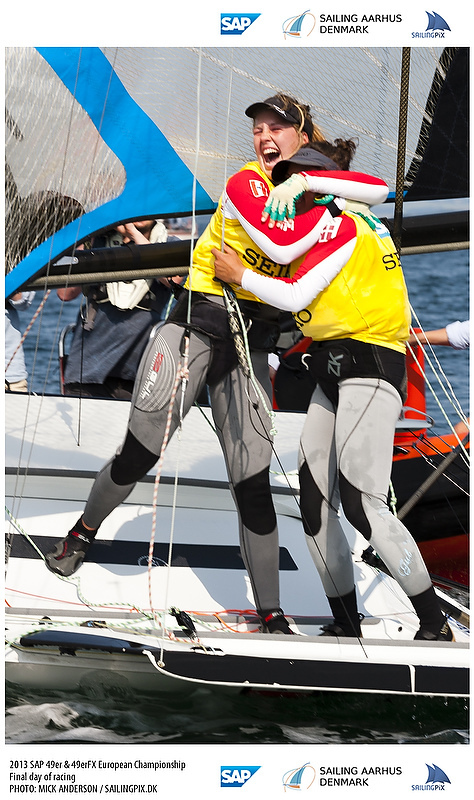 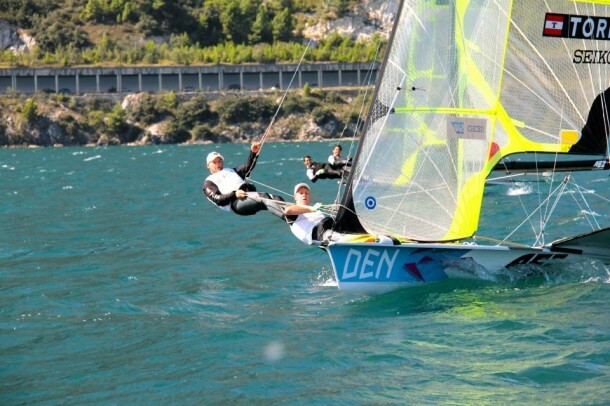 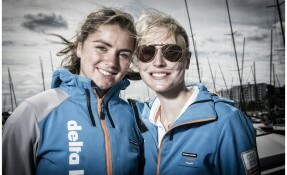 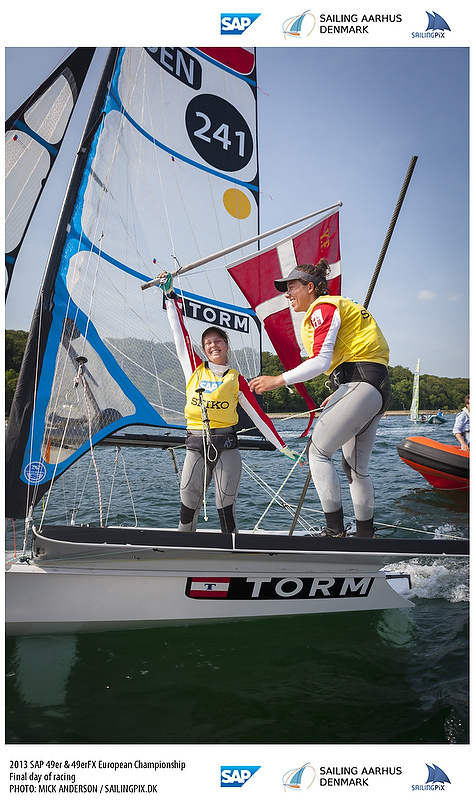 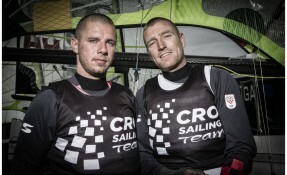 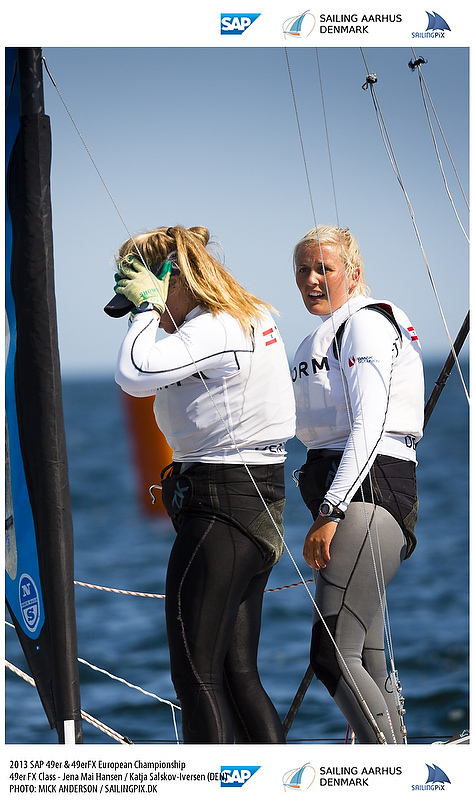 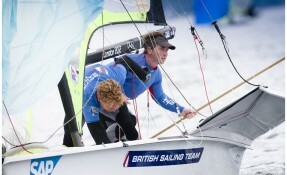 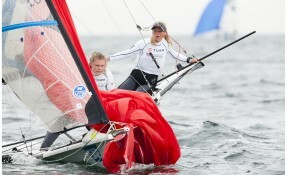 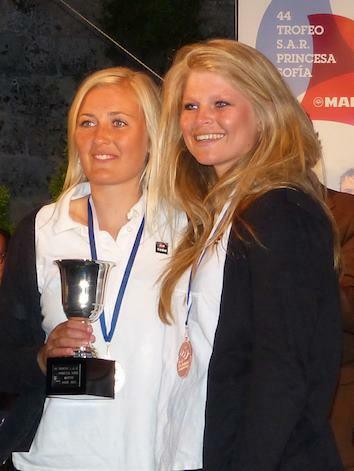 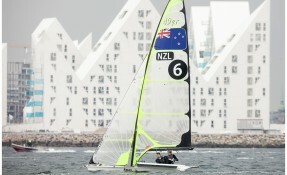 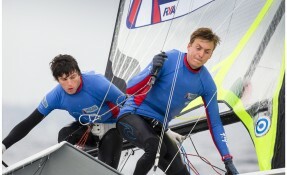 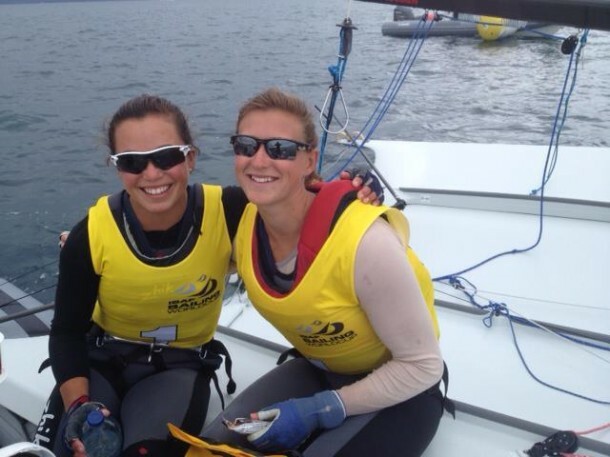 Danes placed first and third at the World Cup of Sailing event in Palma 2013, and both teams are busy training to win on home waters. 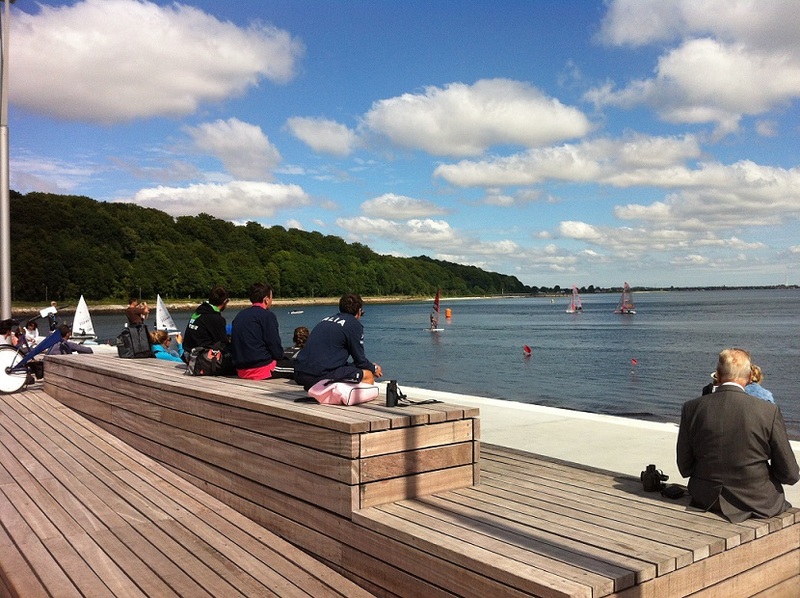 The championship racecourse is placed close to the shore in Aarhus, and fans will be able to watch the racing up close. The seawall is about 400m long and runs parallel to the typical wind directions in Aarhus. 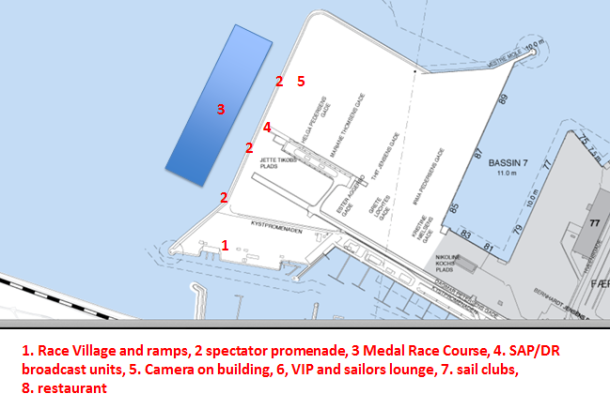 In the central square of that seawall we will have food and a beer garden, music, announcers, and big screen TV’s for live and replay action on the final 3 days. 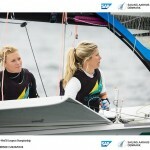 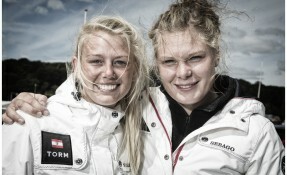 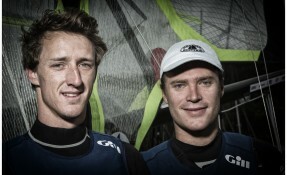 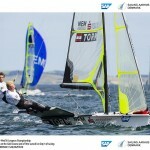 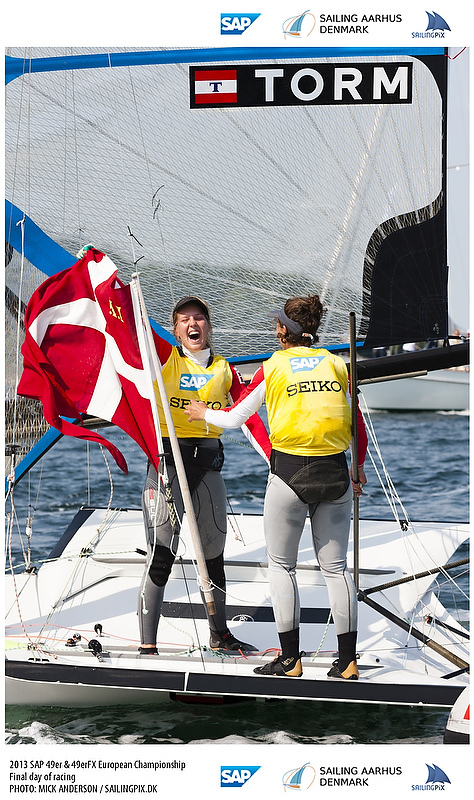 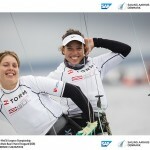 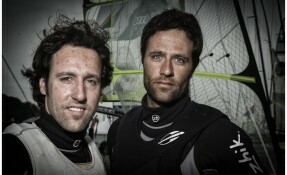 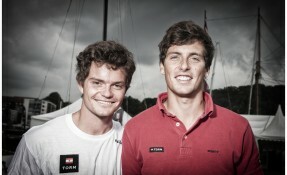 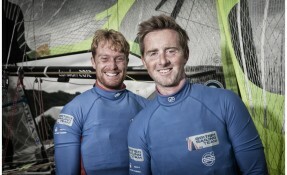 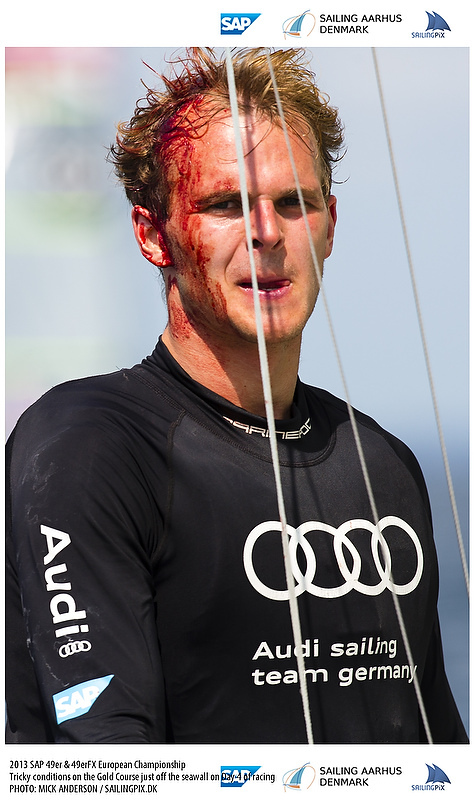 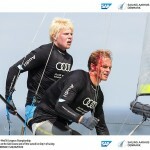 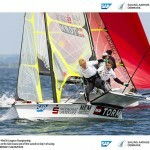 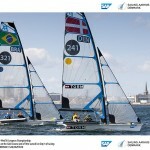 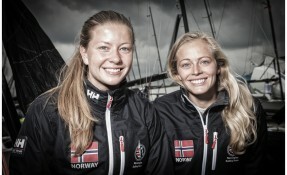 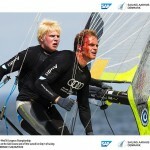 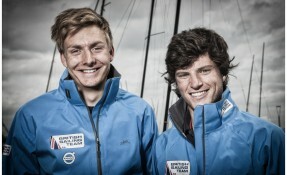 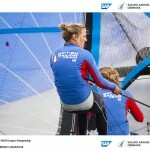 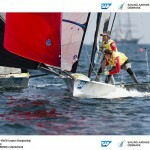 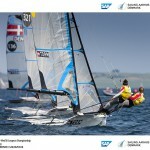 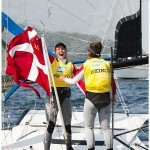 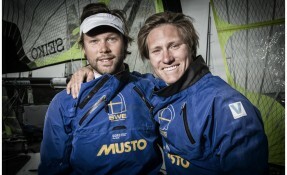 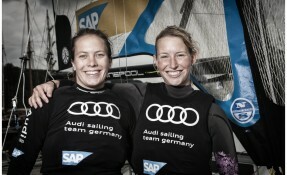 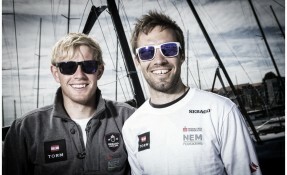 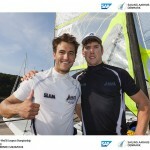 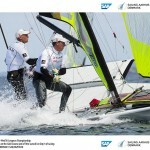 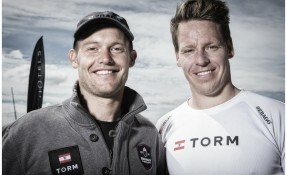 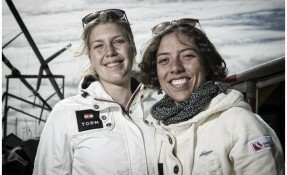 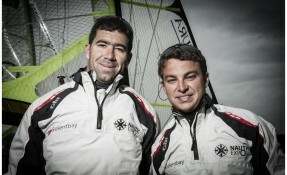 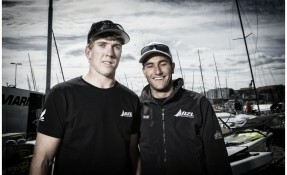 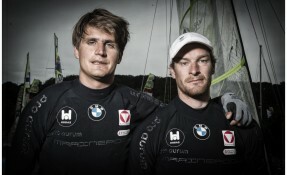 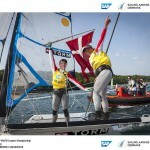 We are hoping for great crowds, as we know the Danes love their sailors, especially their 49er sailors. For those who are looking to get even closer to the action, there is a VIP ship to take out paying customers and sponsor VIP’s onto the racecourse during the event that will be fully catered and watered for those who prefer an on the water experience. 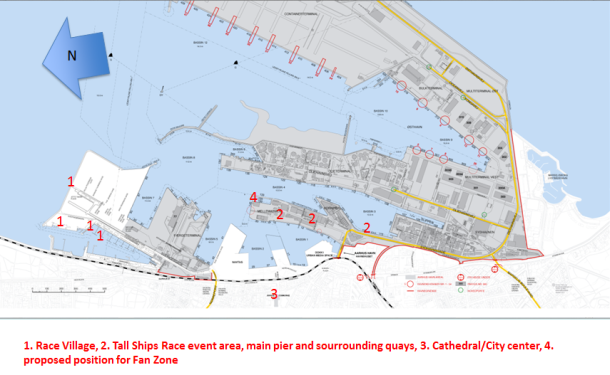 There will be a race course very close to the seawall for every day of the championship, July 2-7, 2013 from about 11:00-17:00 local time. Come down to the shore and have a look. The course will be especially close to the spectators on the final 2 days, with both days featuring smaller fleets and shorter races. 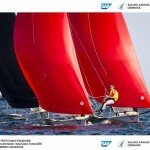 It should be a fantastic viewing experience so join us on July 6 and 7. 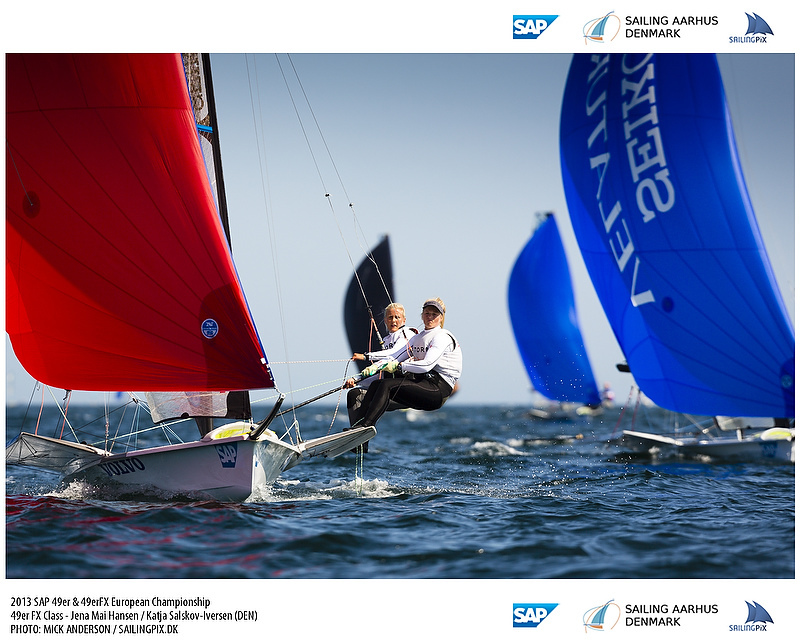 The championship series (after qualifying) is taking place from July 5-7, and each day we will have all of the action live on the web so sailing fans can watch the best fleet racing the world has to offer. 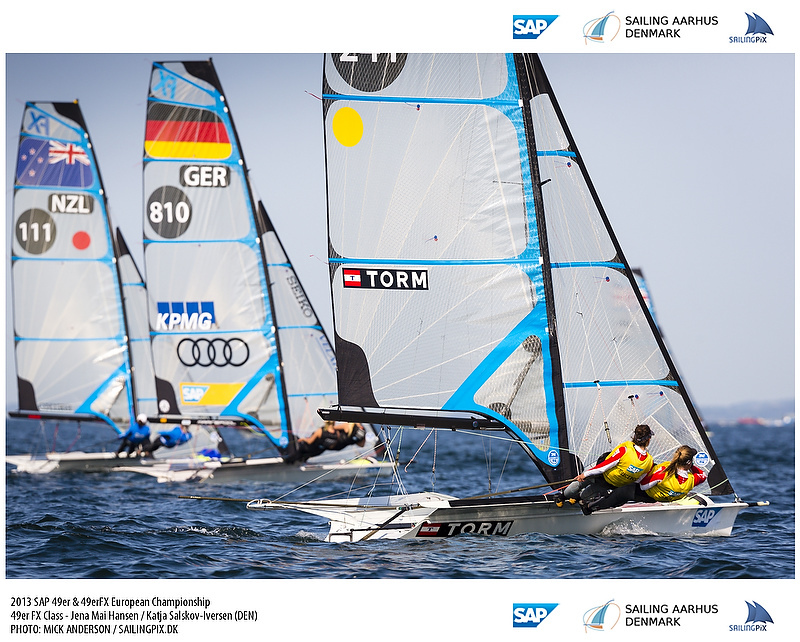 On July 5th the 49er fleet is gold fleet racing with the top 32 boats, and here is a link to the complete format information. 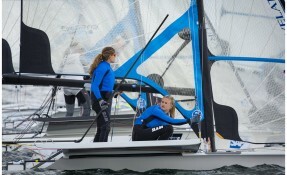 The 49erFX will have the top 16 women competing in 20 minute long races. 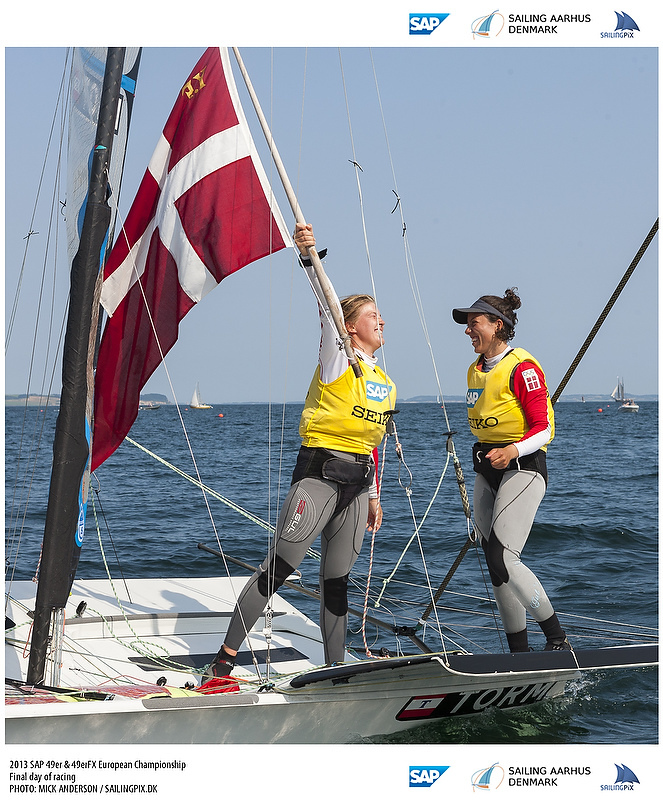 This is like the Olympic sailing many will have seen from the 49ers, except there are more teams and more good teams competing, so the racing is even closer. 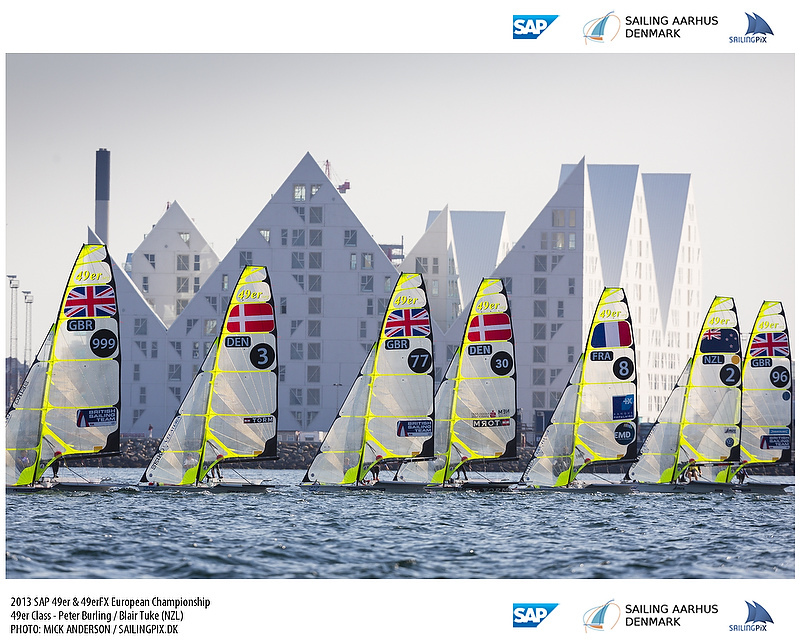 Racing starts at noon CET on July 5th. 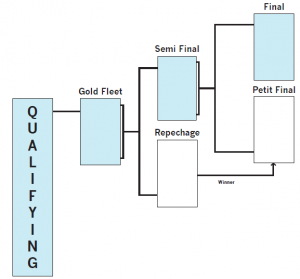 On July 6th, we have the Semi Finals. 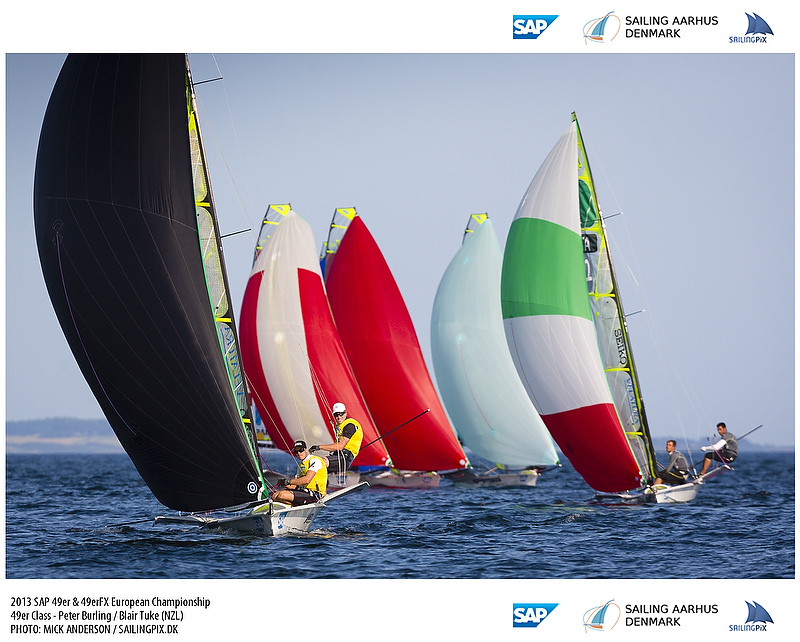 The top 16 teams will move on and race 4 races each of a 20 minute duration. 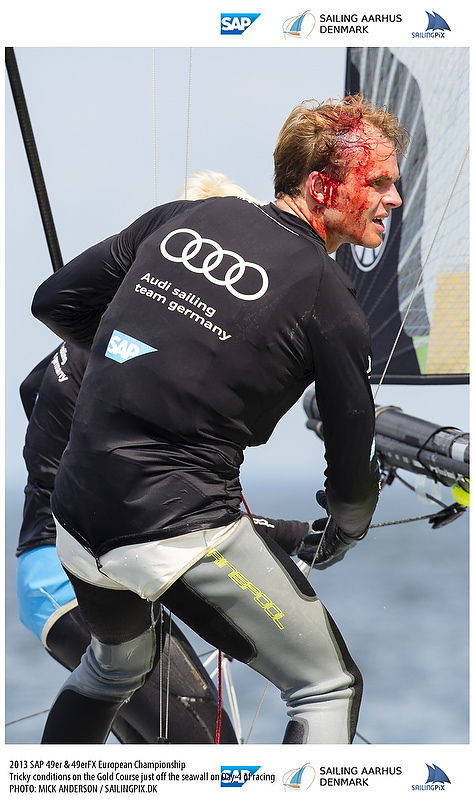 This racing should be particularly special. 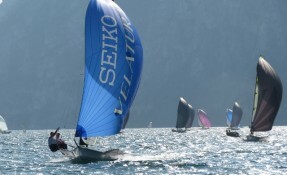 Putting the best 16 boats on a course with only 20 minutes per race to decide among them who is sailing is sailing well guarantees tight racing and should be particularly intense to watch. 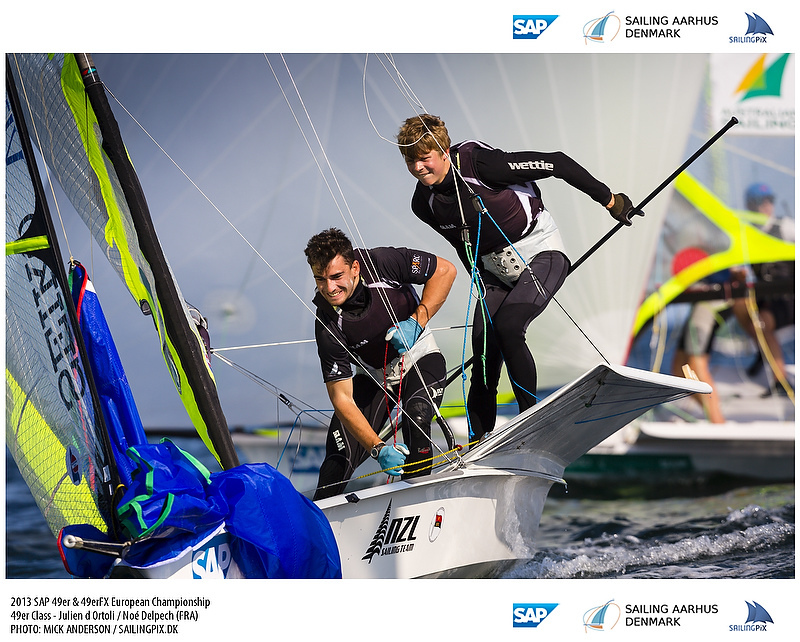 This format is a new wrinkle to our format schedule that holds huge promise for sailors and sailing fans alike. 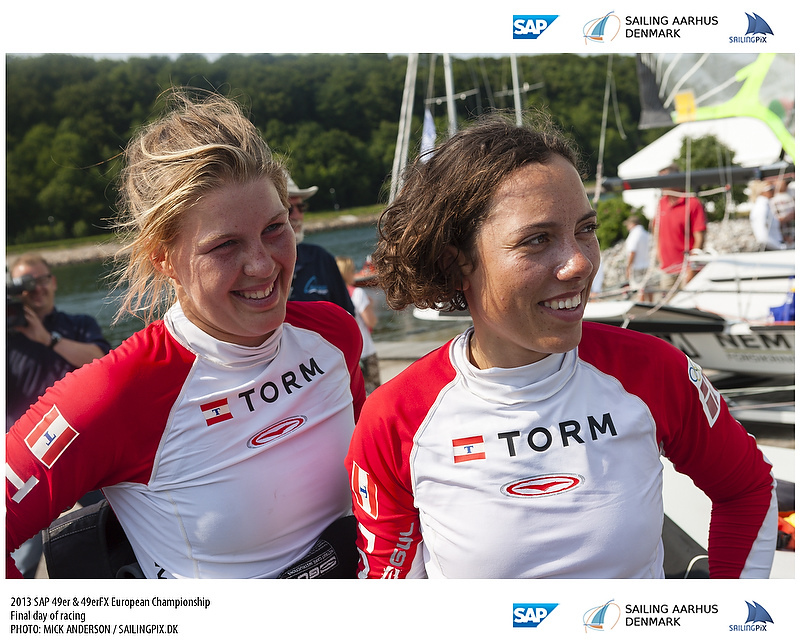 Racing starts at noon CET on July 6th. 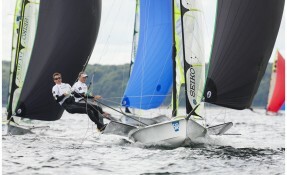 On July 7th will be the Finals and Petit Finals. 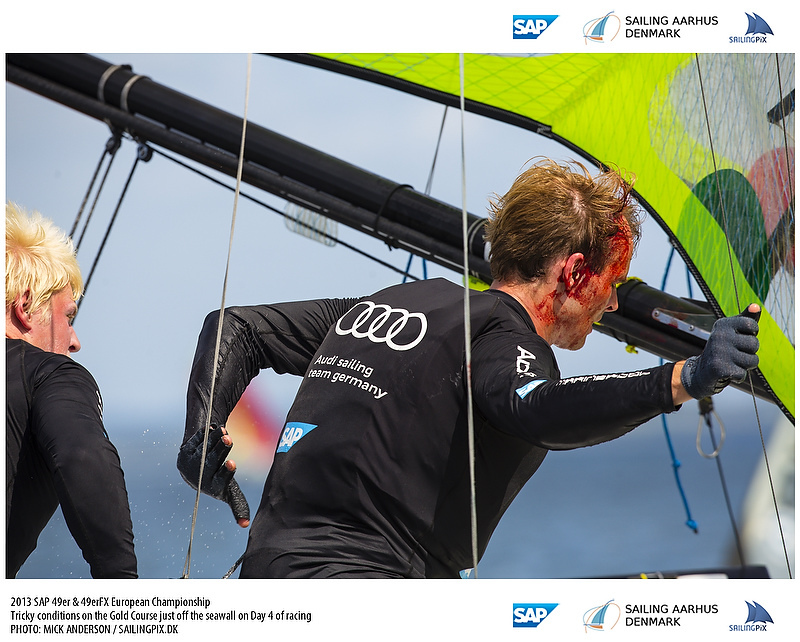 The top 9 will battle in Theatre Style racing, where both sides of the course are bounded to keep the sailors engaged with each other. 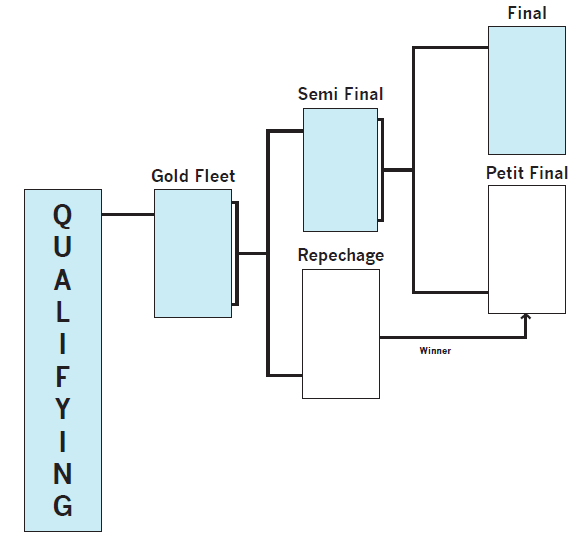 These ‘Theatre’ races are particularly special, as the championship battle is fought in a series of short races right in front of the public. 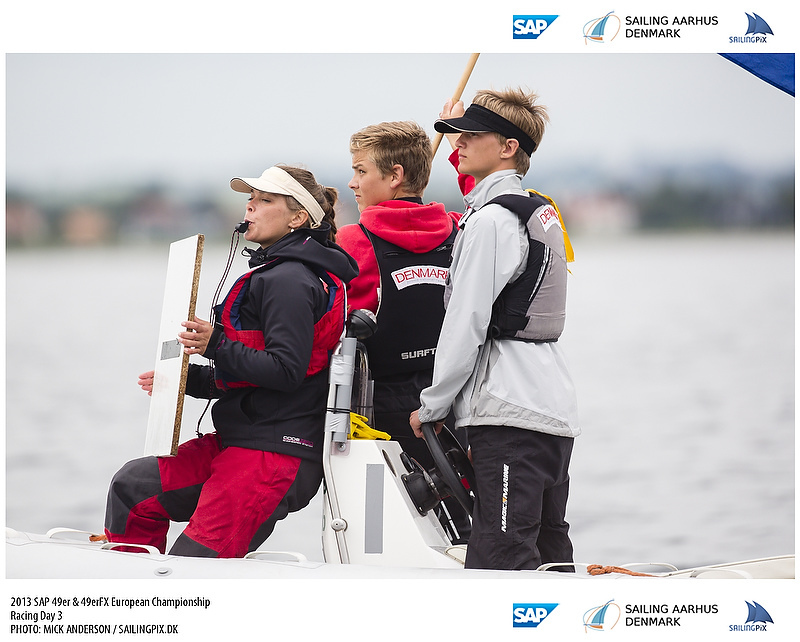 The racing is so intense that crews have had to modify their training to ensure they have the horsepower to compete with such intensity, and the result has been great battles on the water. 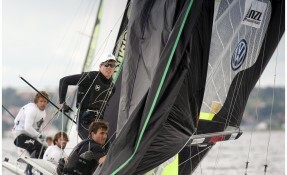 Everyone will be able to watch the racing live on 49er.org. 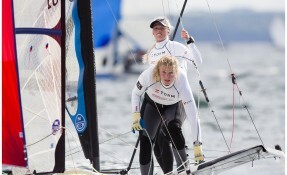 Please set a reminder now on your calendar to tune in. 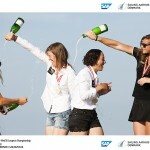 The viewing experience will be an enhanced viewing experience. 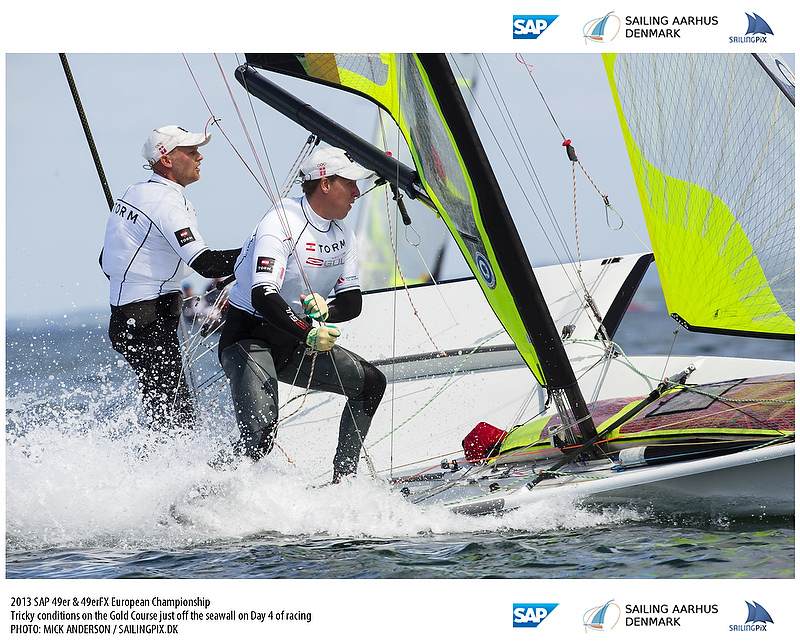 The live broadcast with english commentary will be available through a livestream. 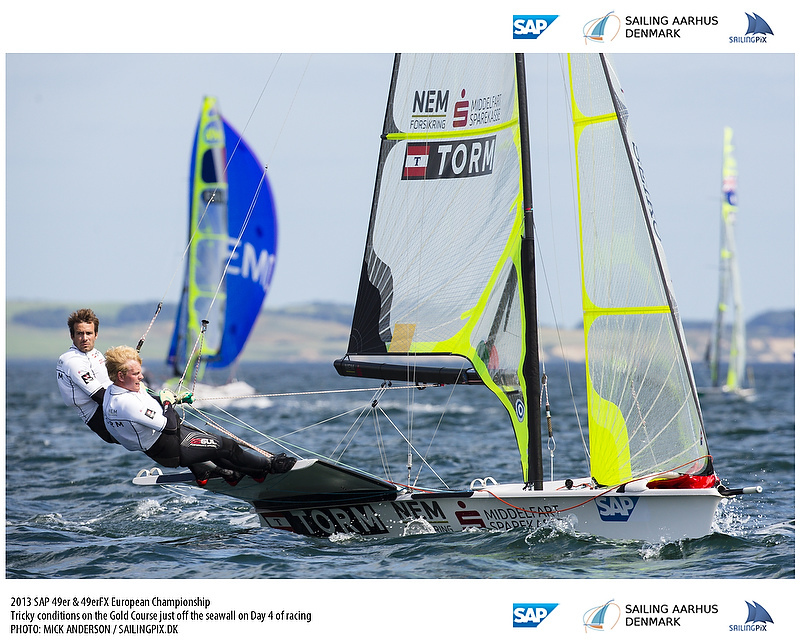 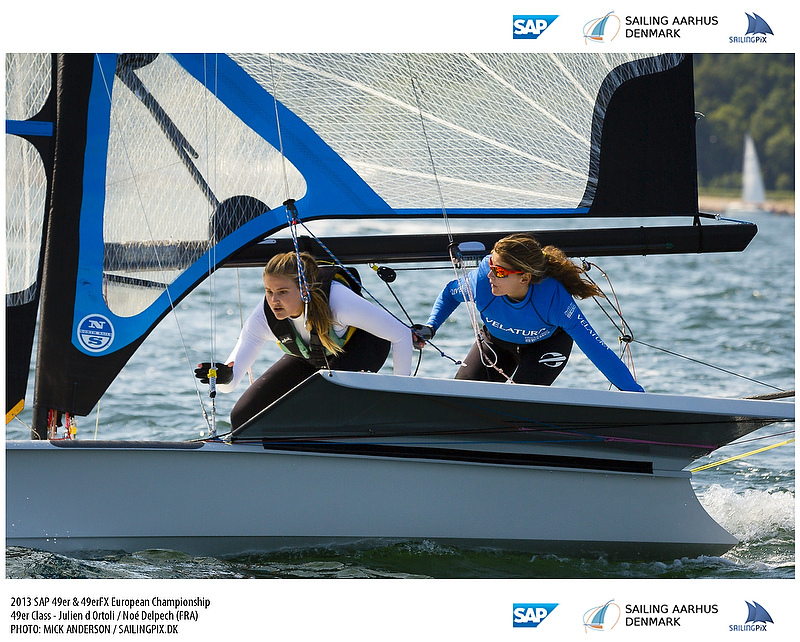 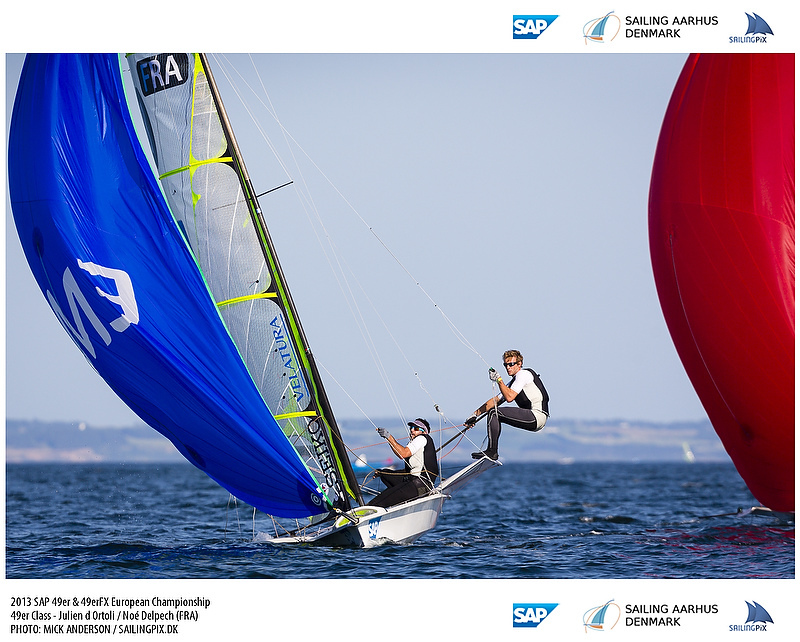 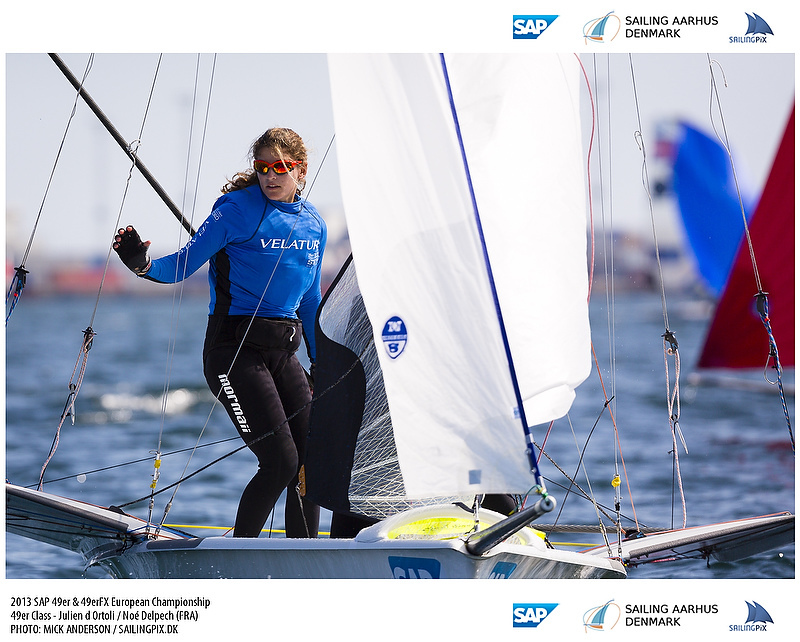 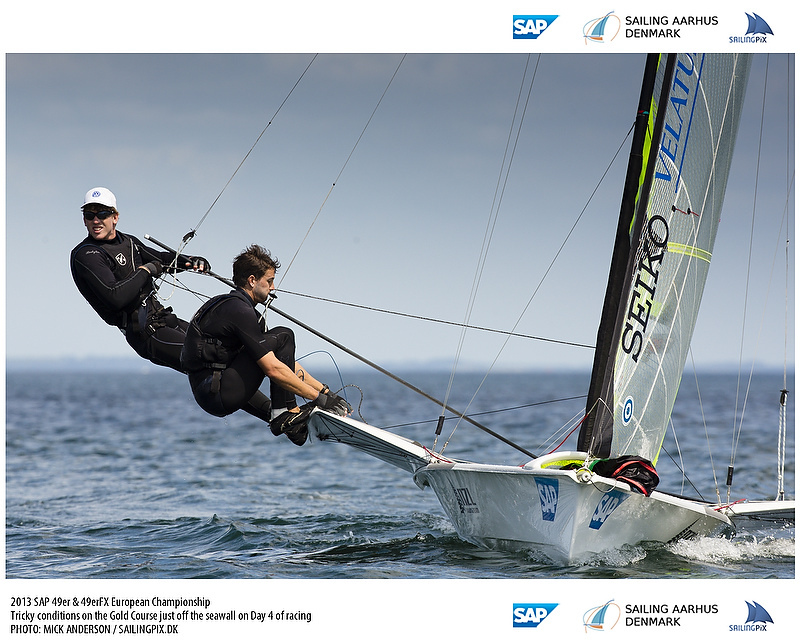 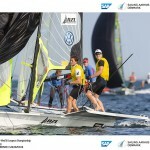 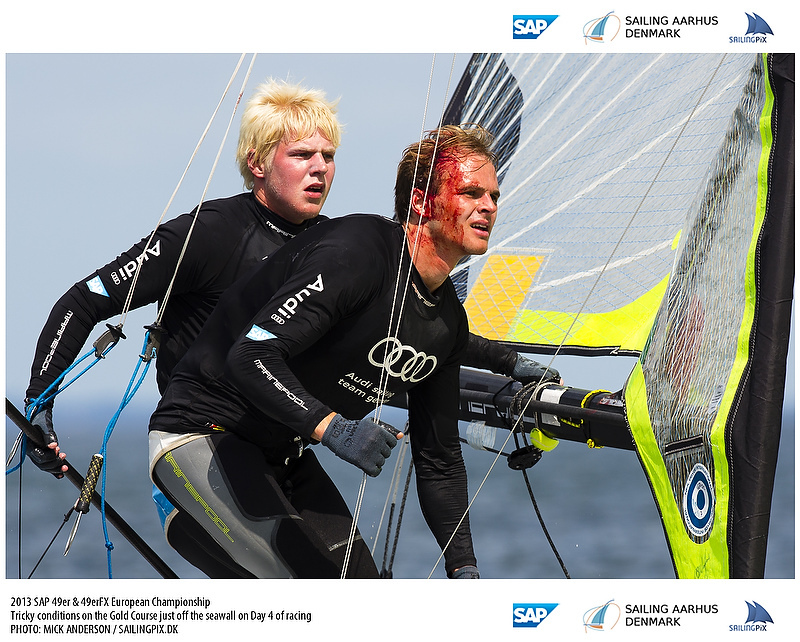 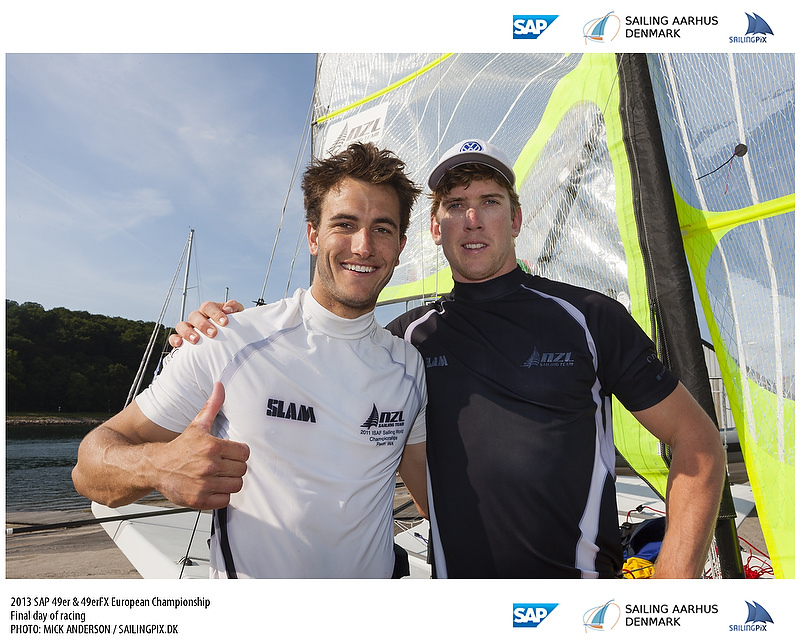 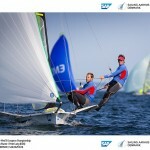 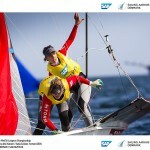 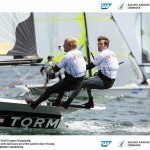 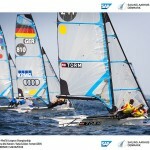 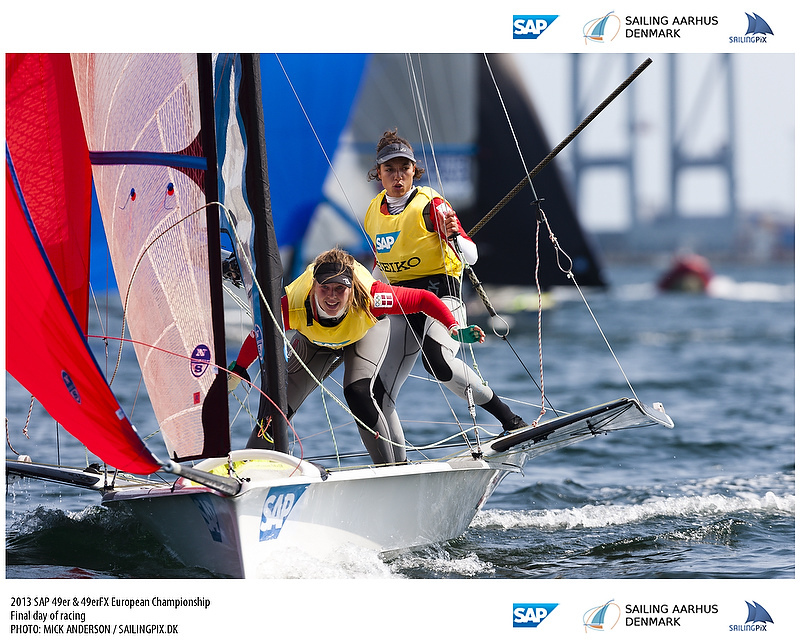 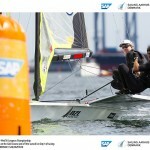 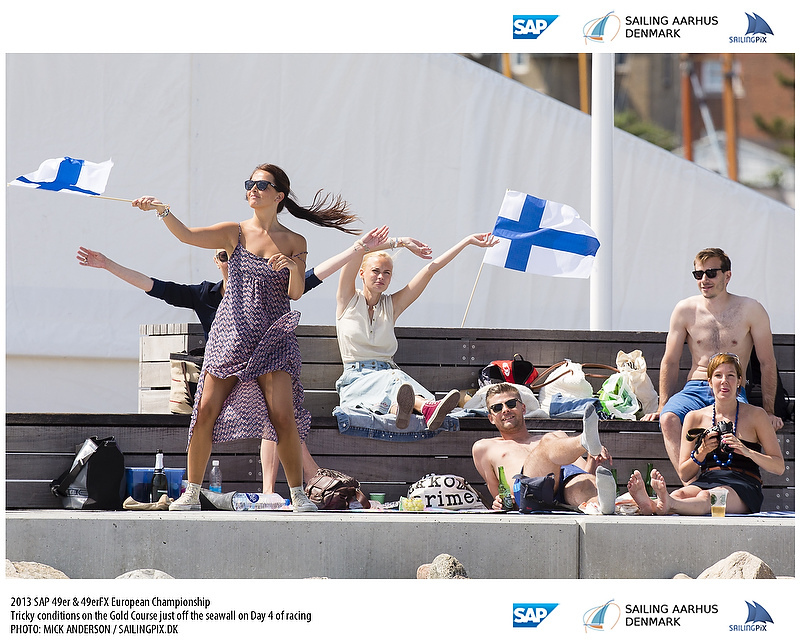 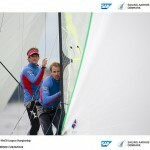 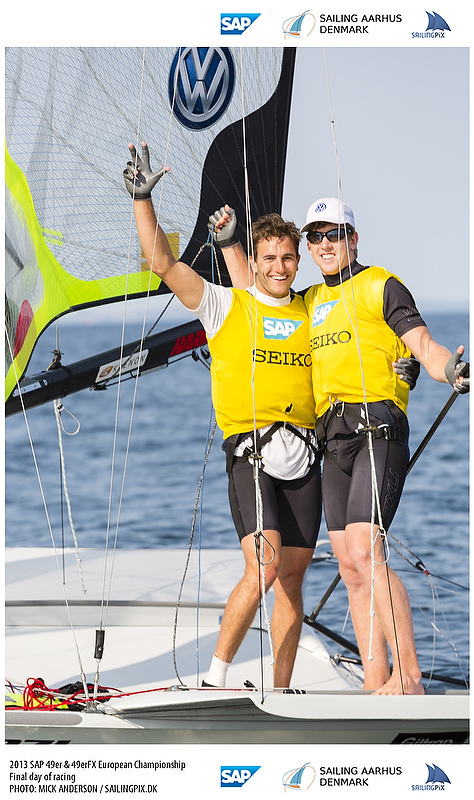 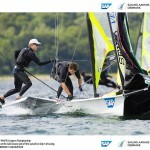 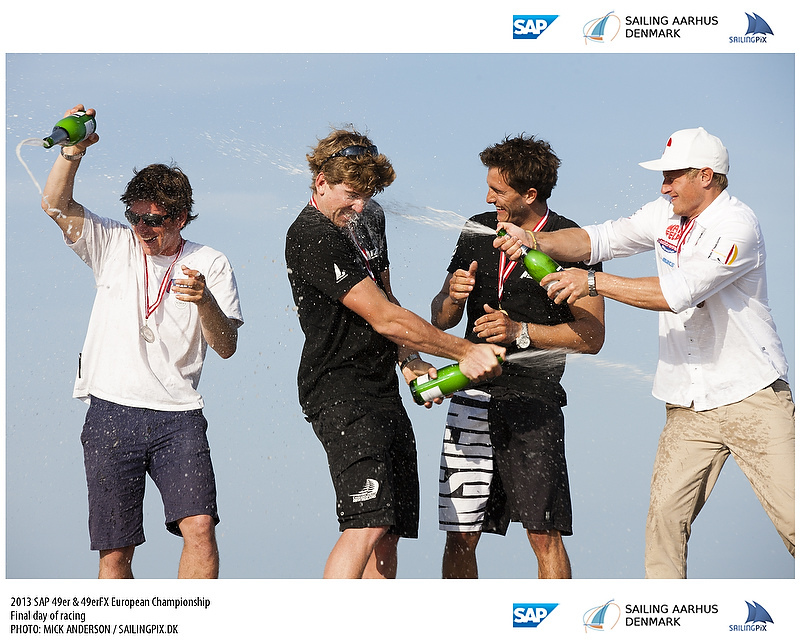 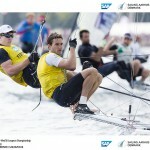 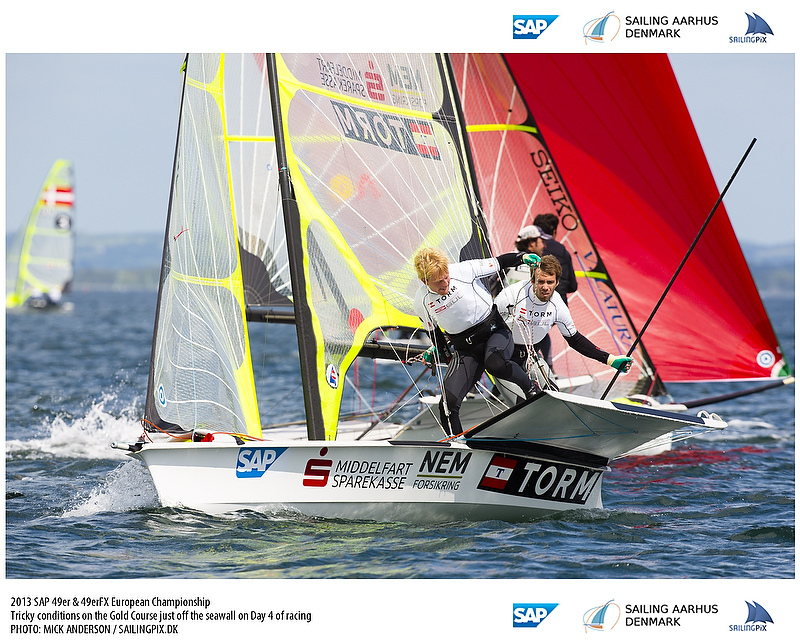 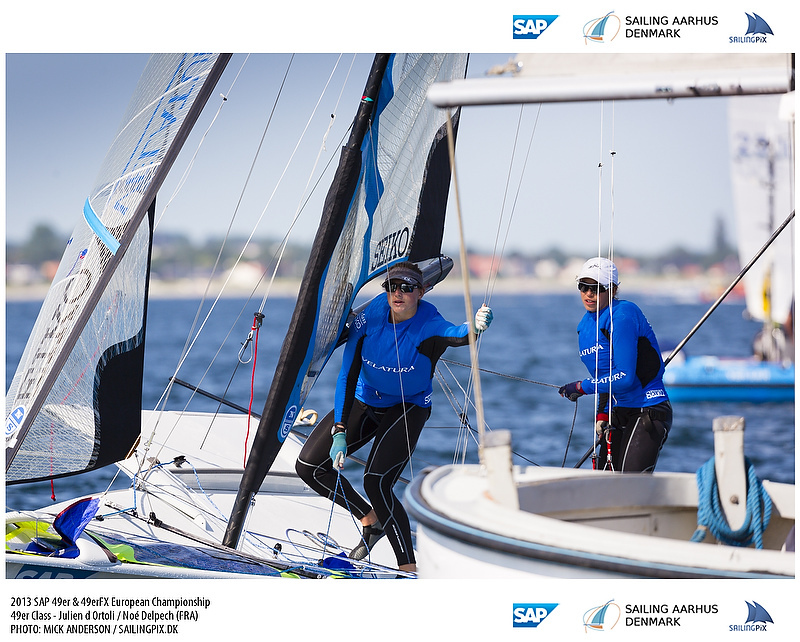 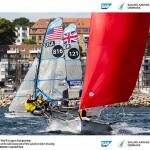 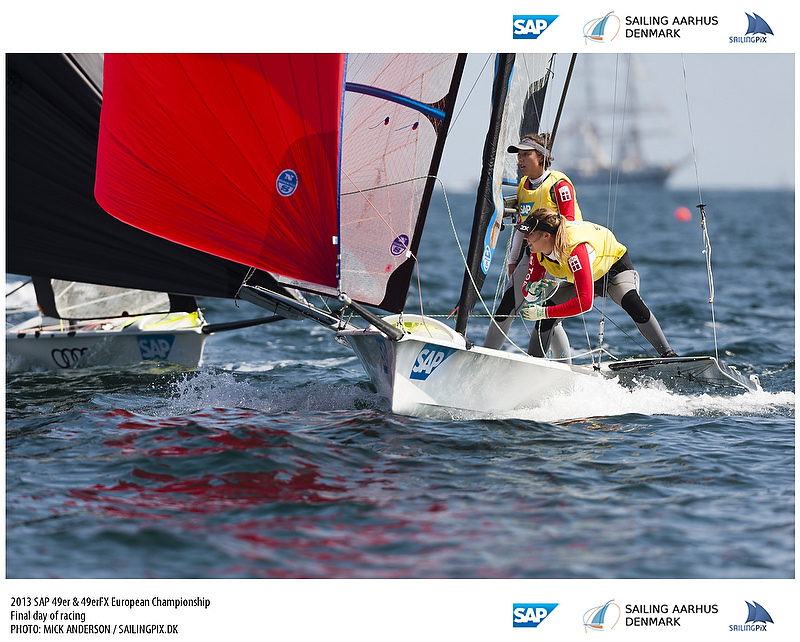 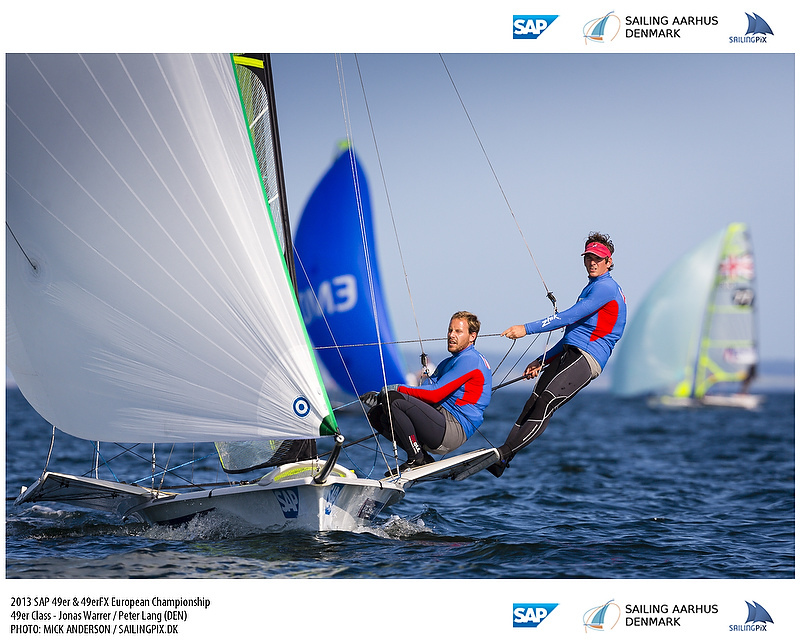 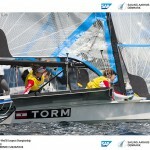 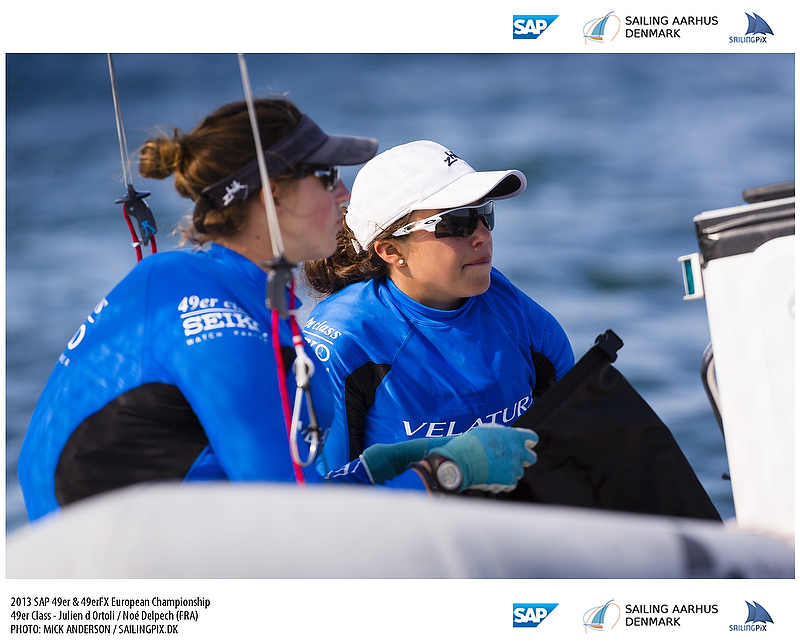 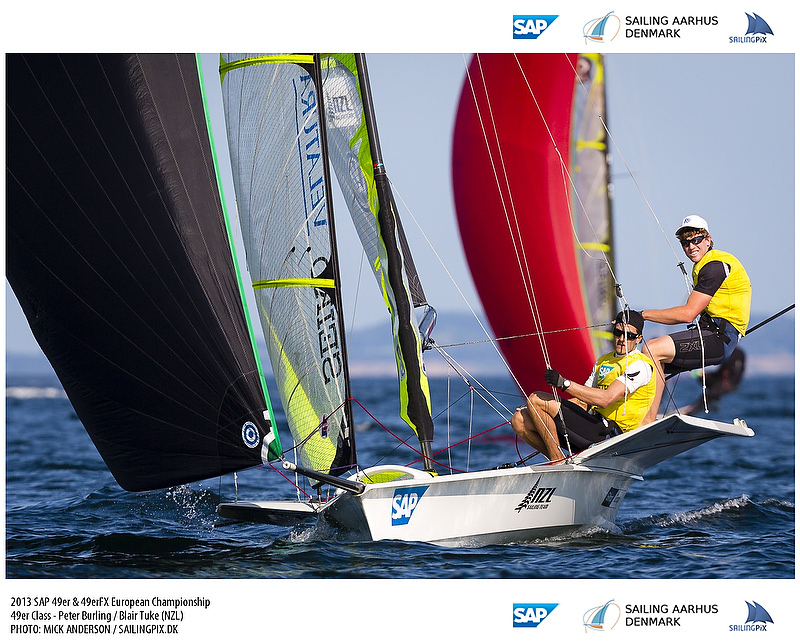 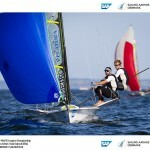 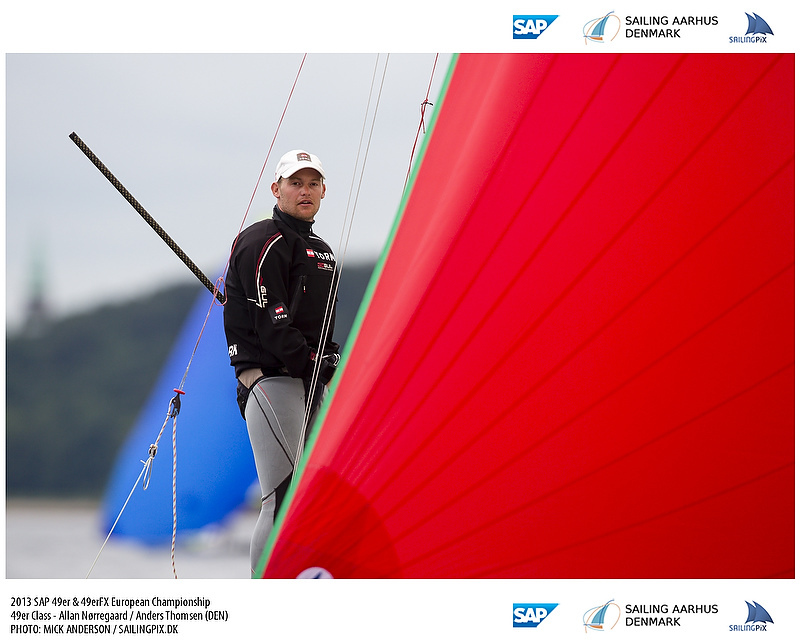 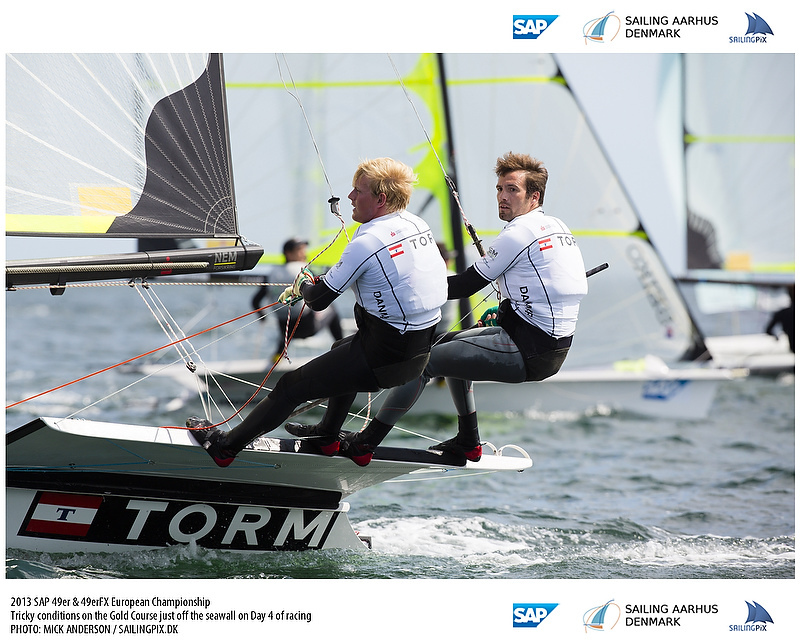 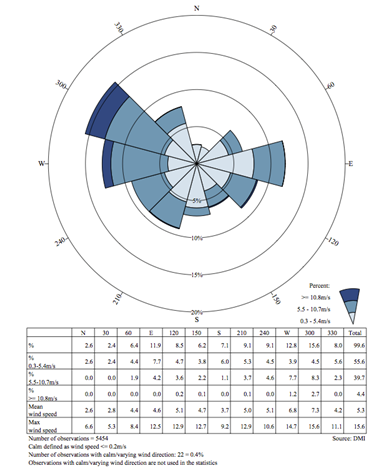 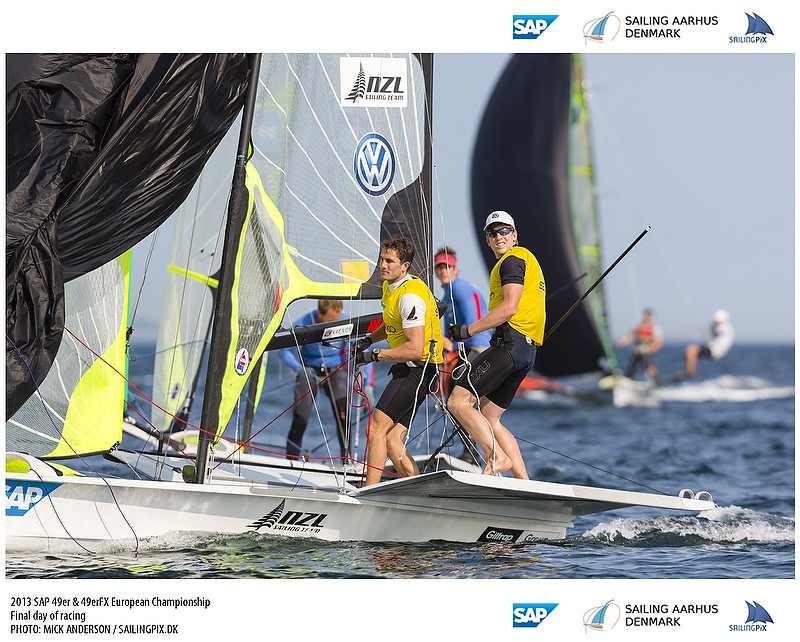 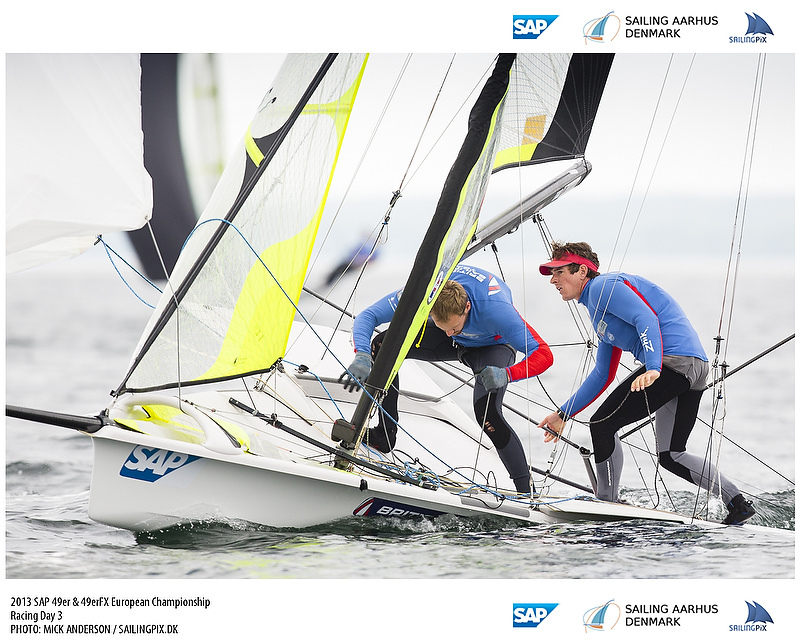 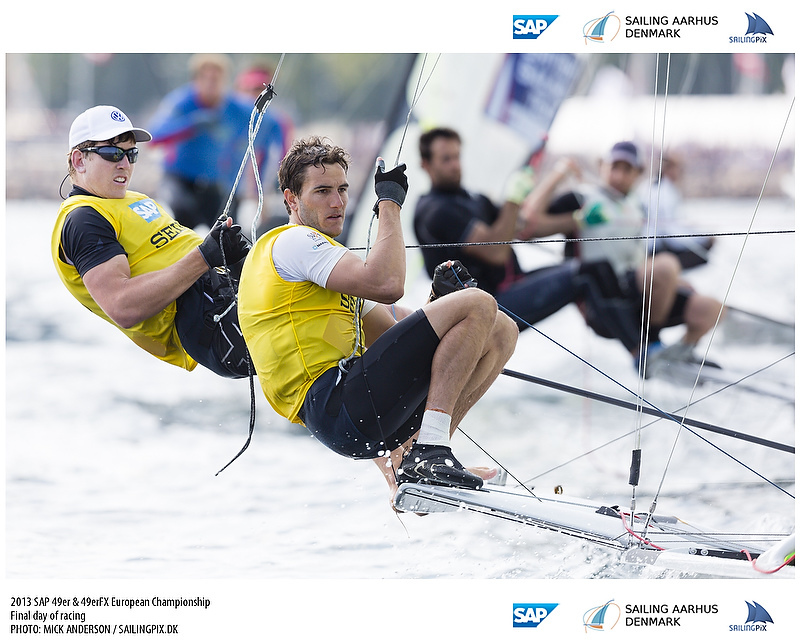 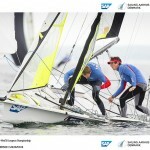 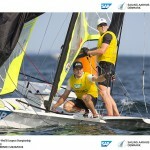 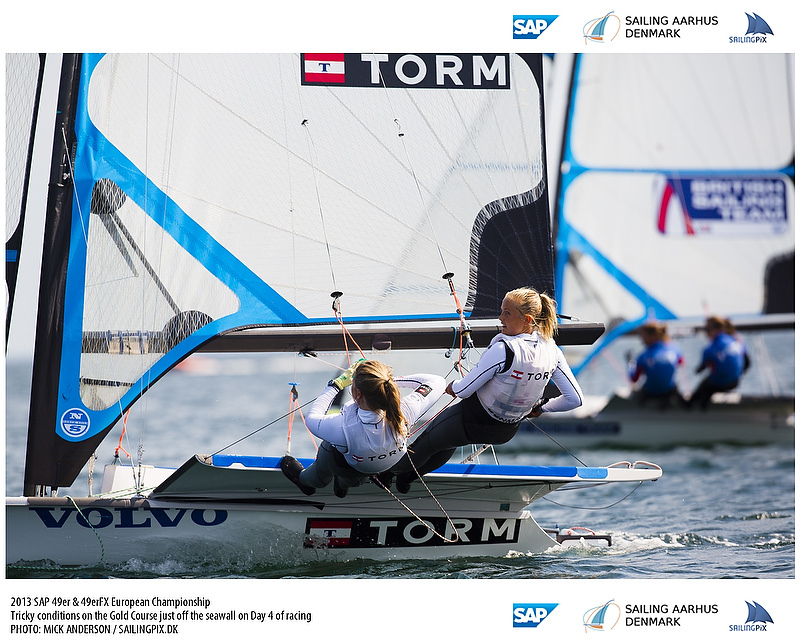 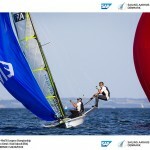 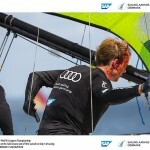 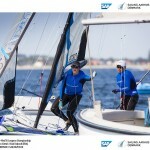 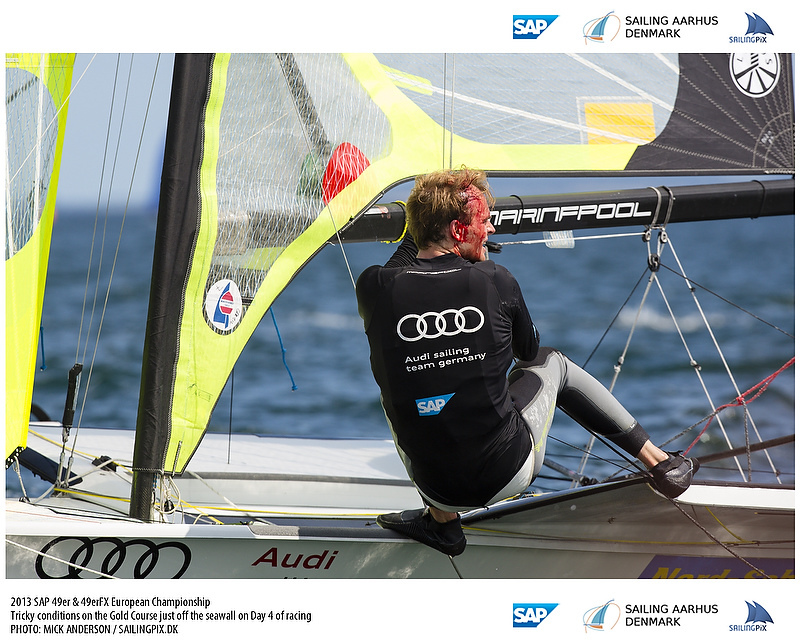 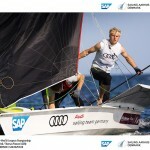 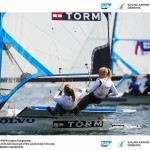 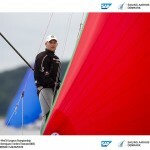 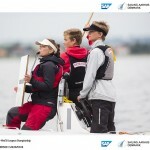 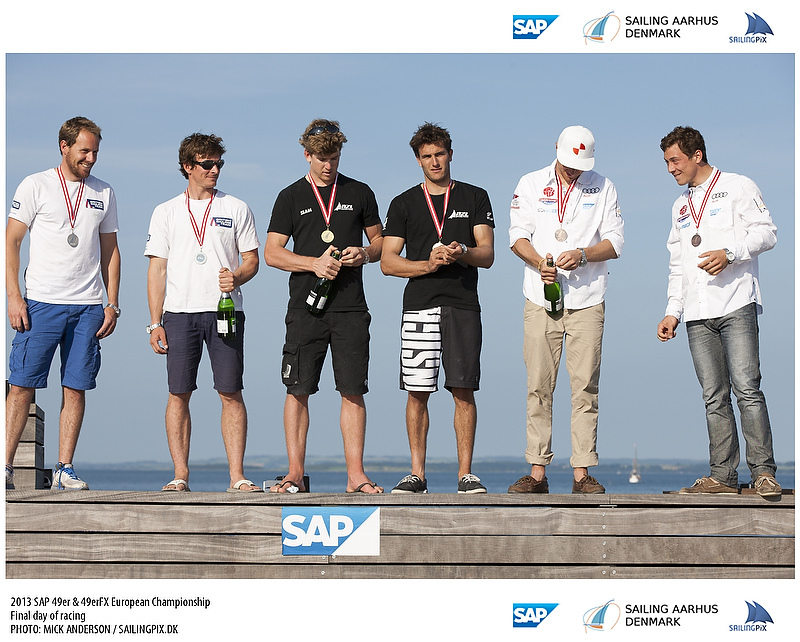 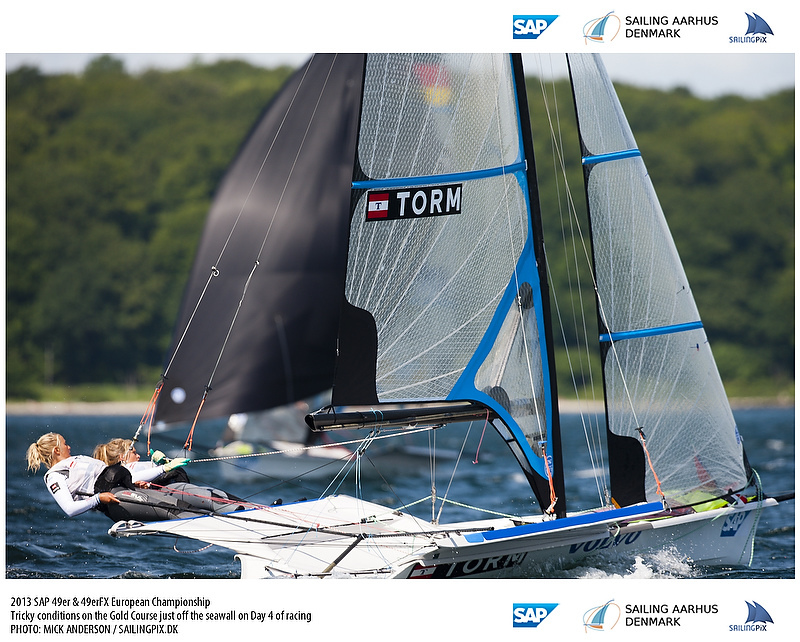 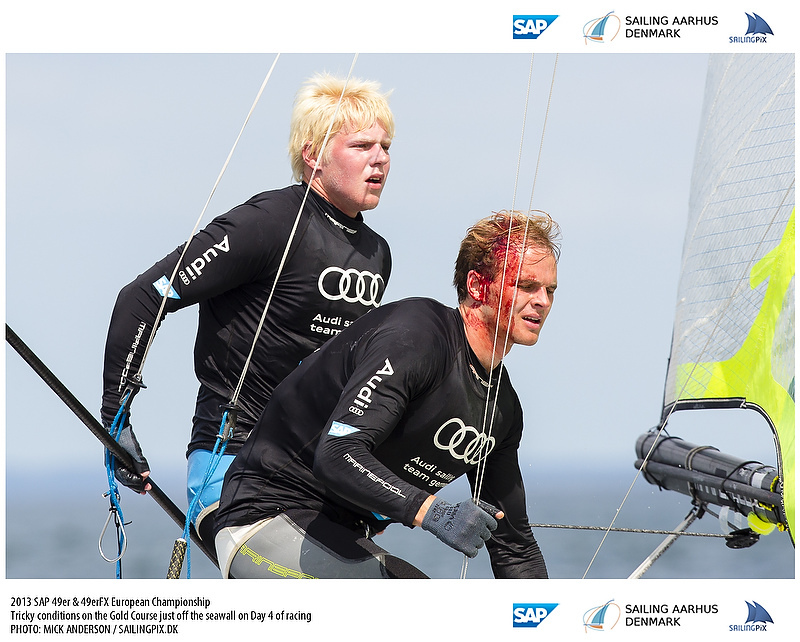 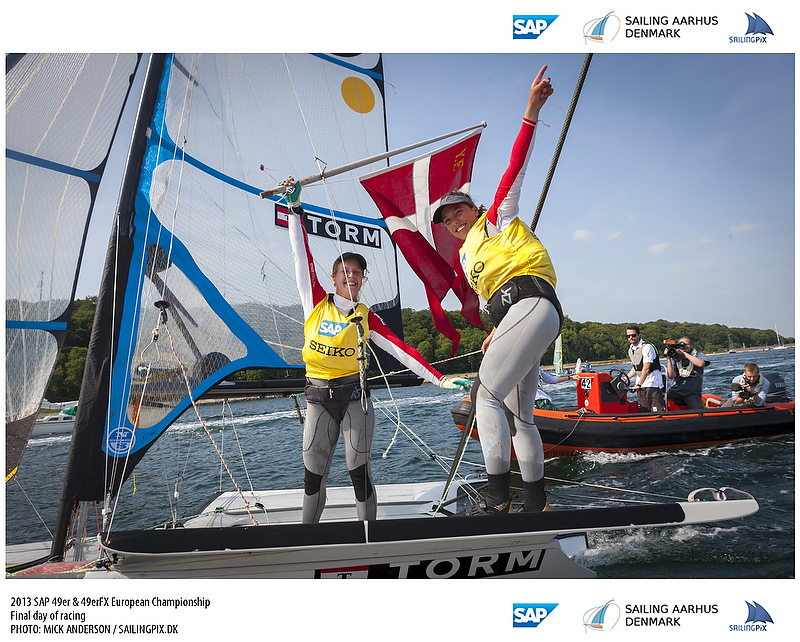 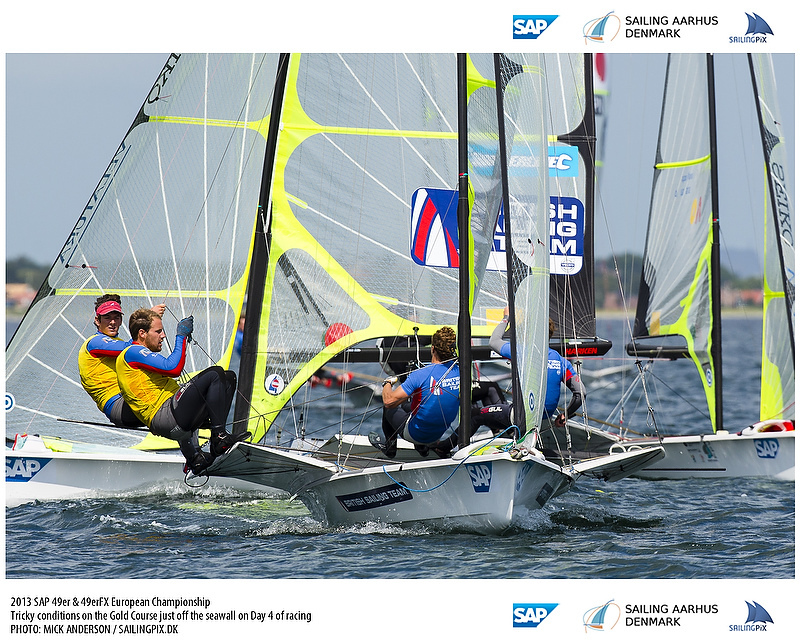 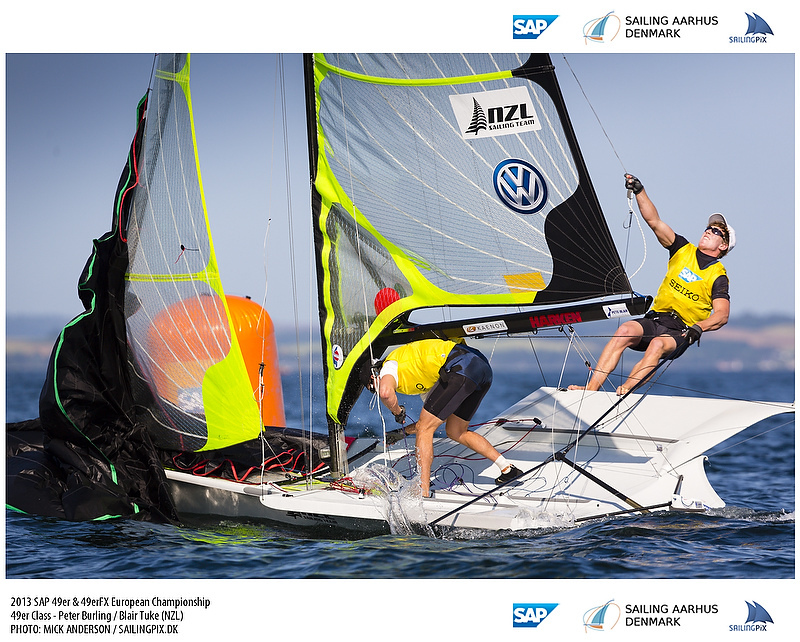 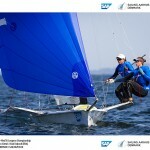 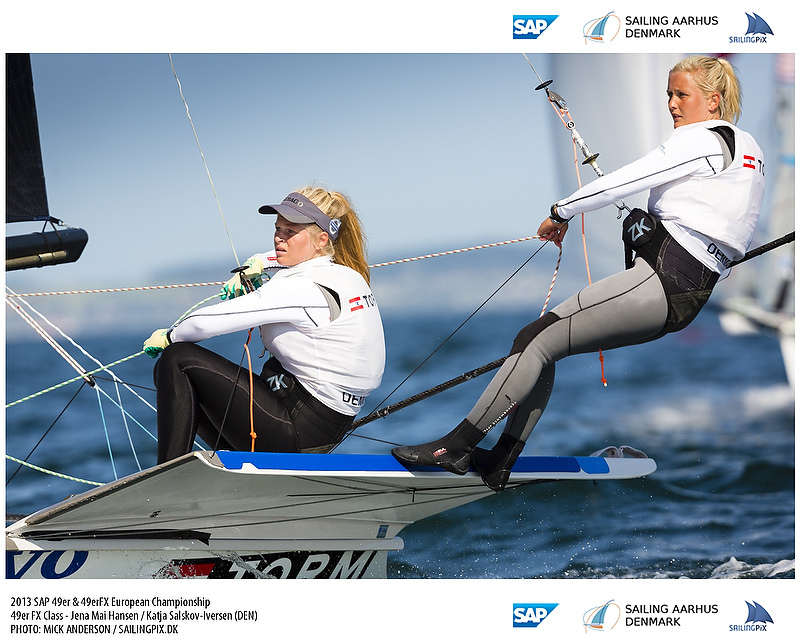 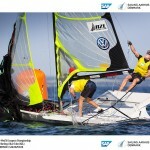 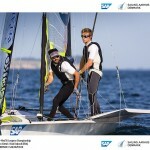 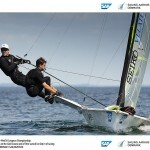 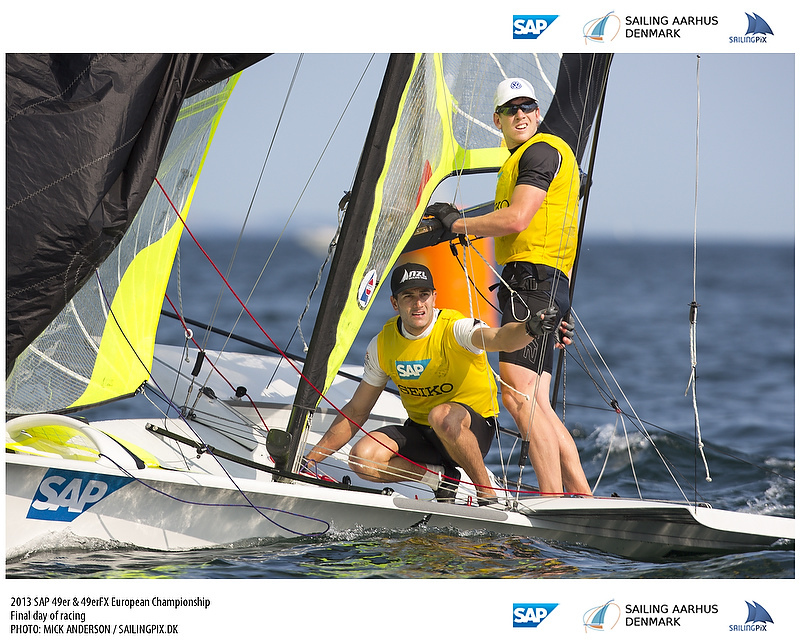 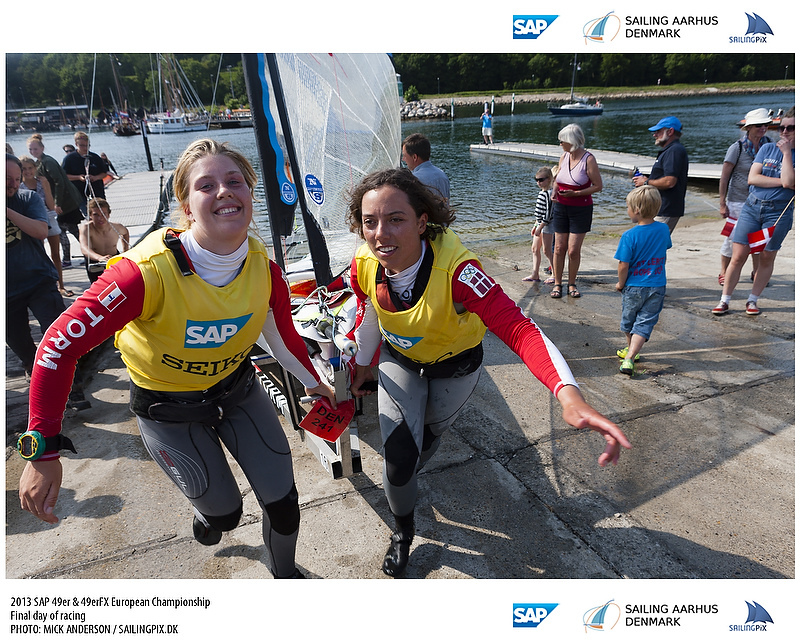 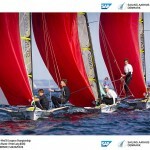 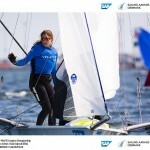 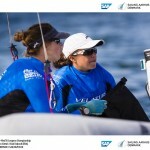 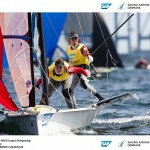 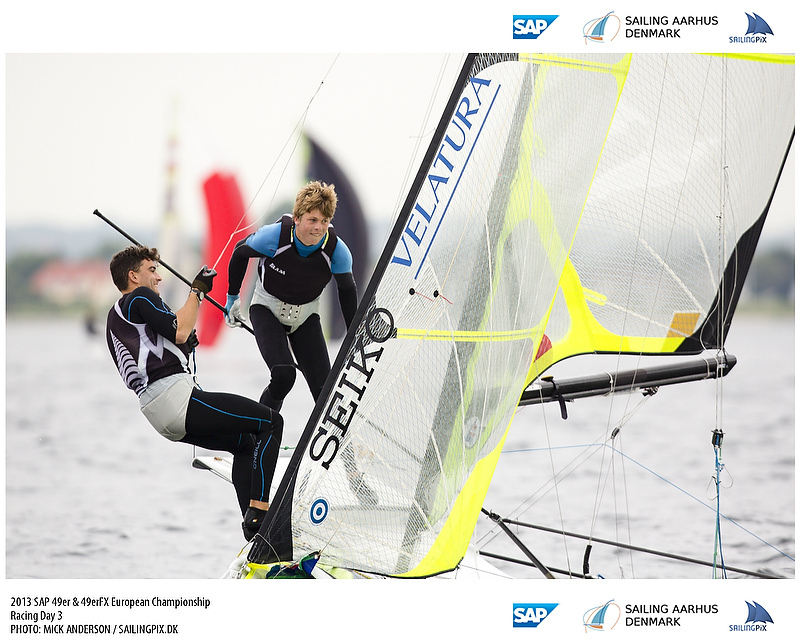 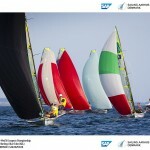 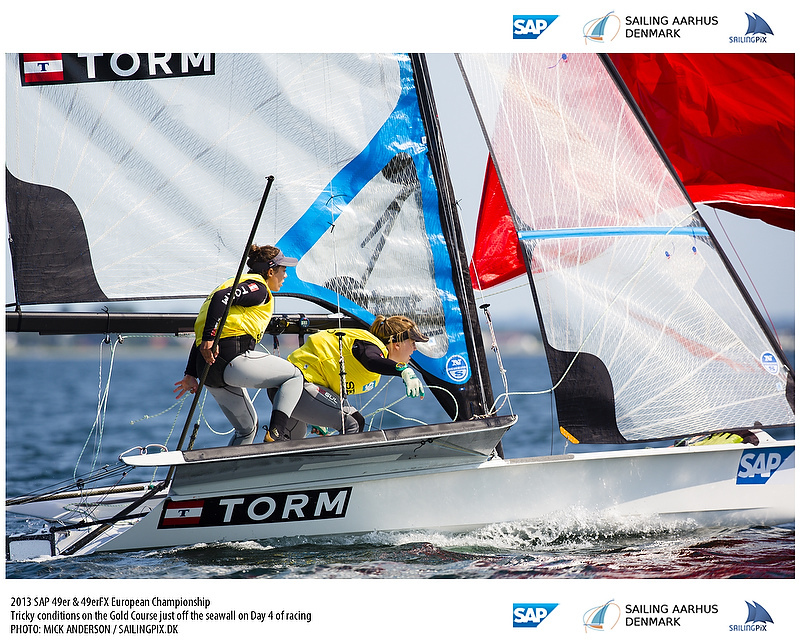 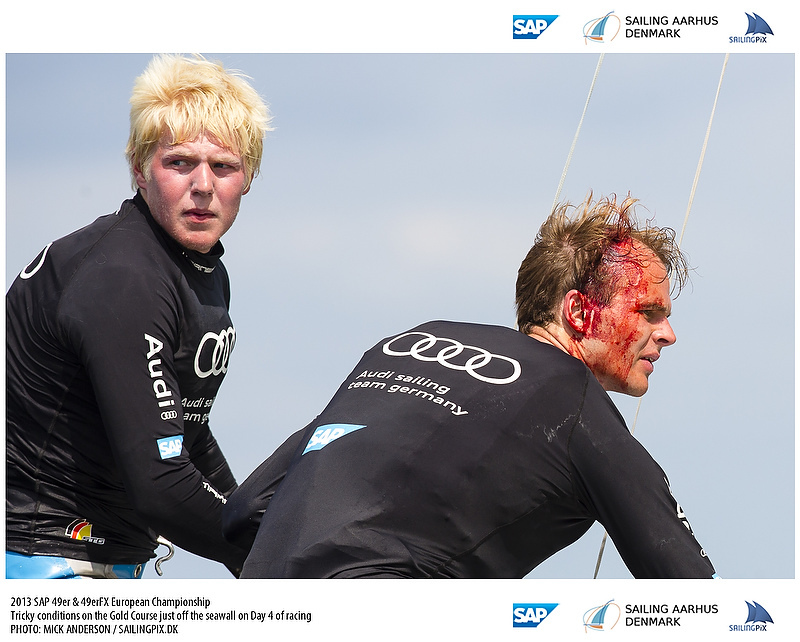 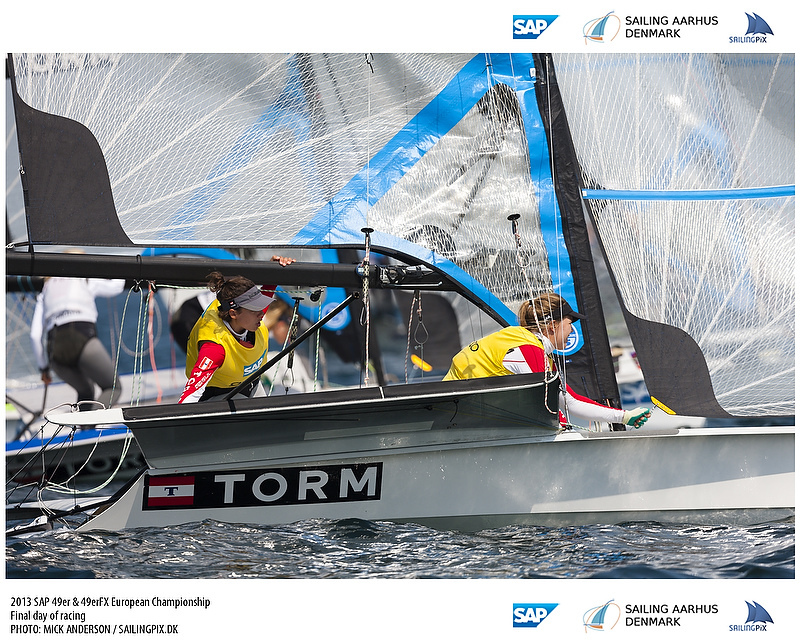 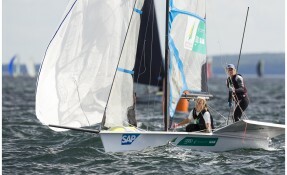 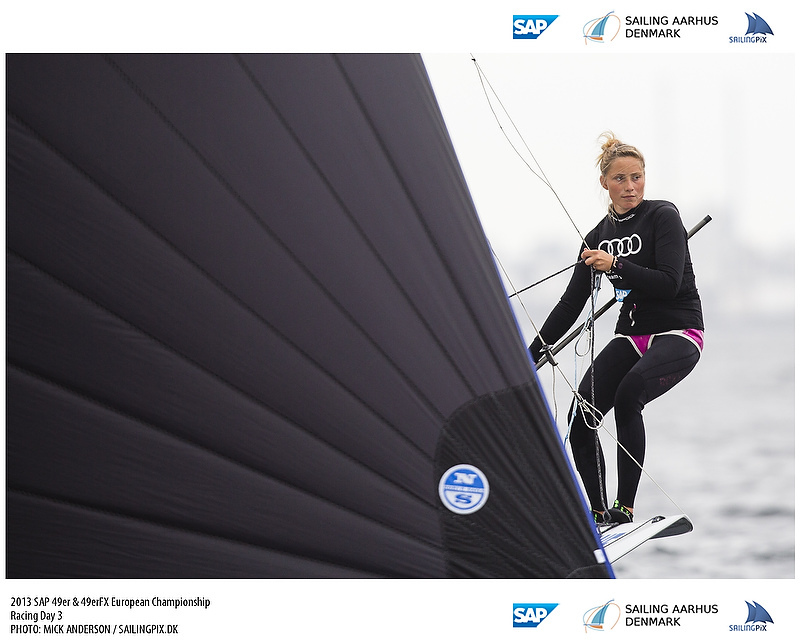 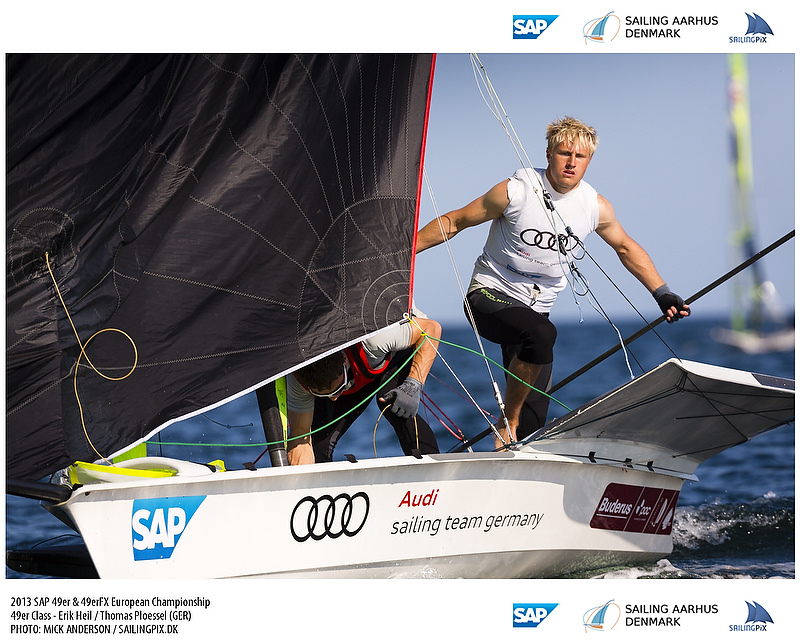 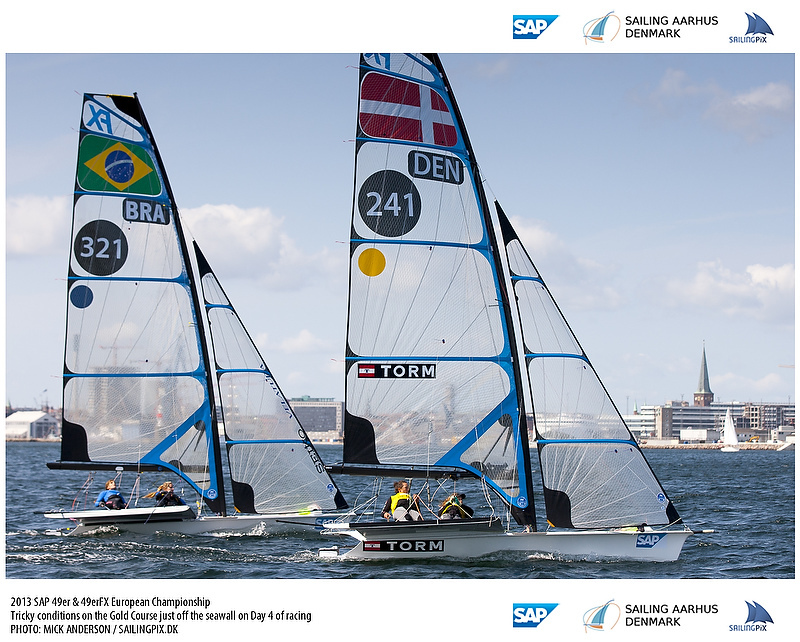 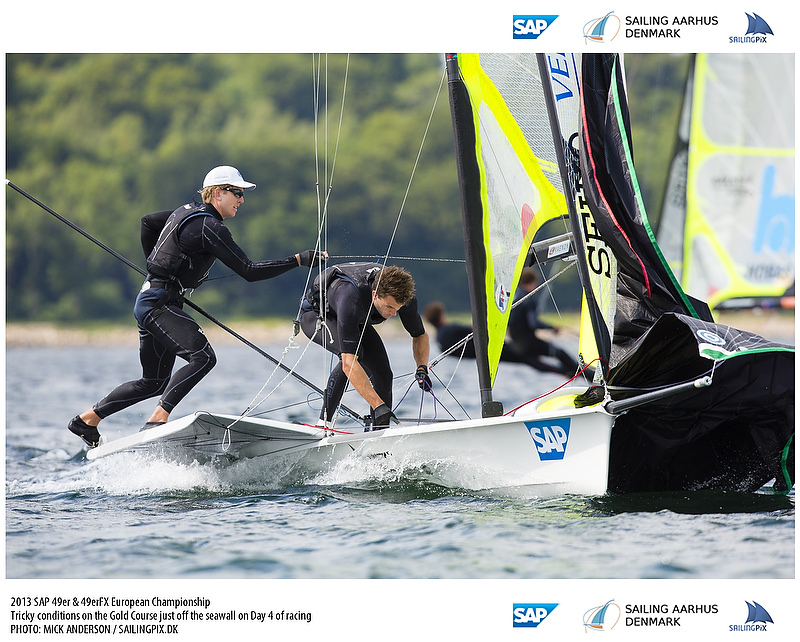 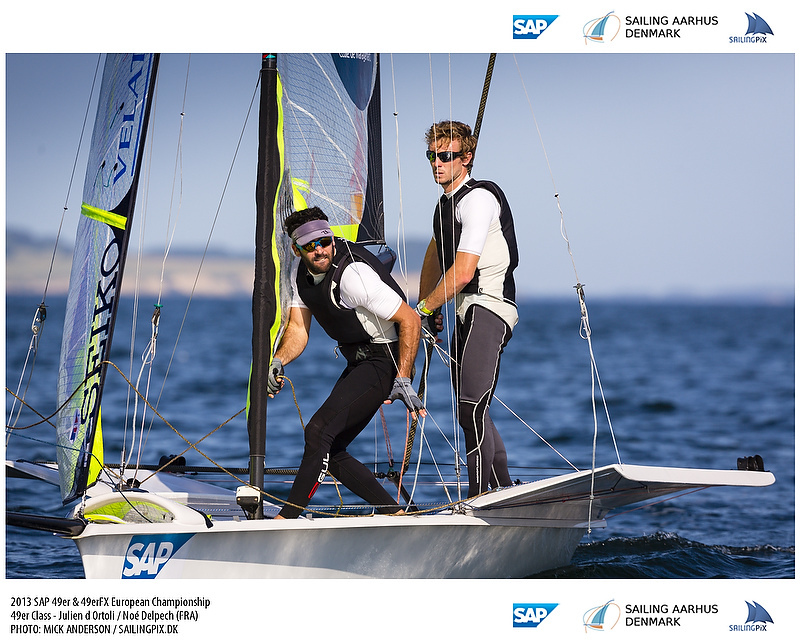 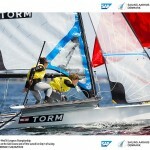 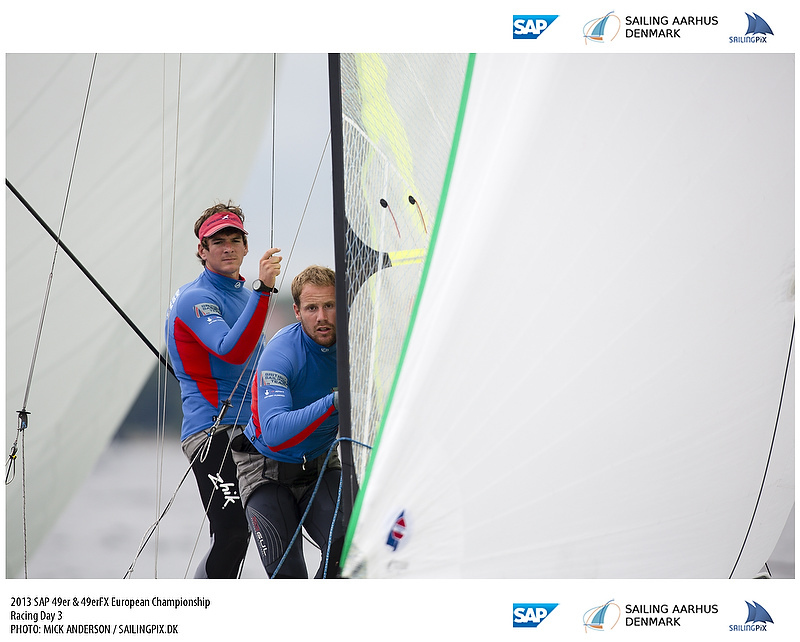 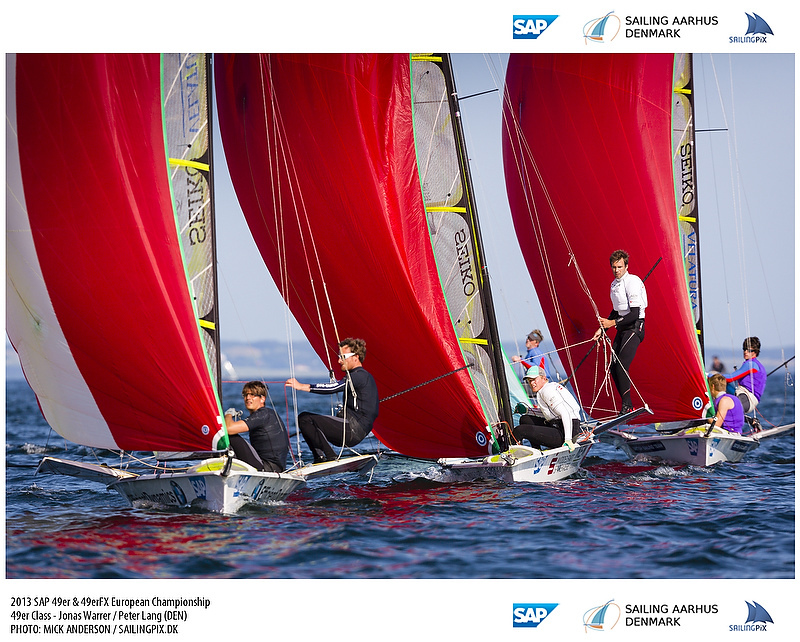 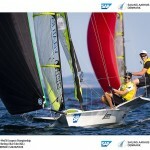 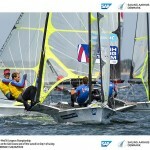 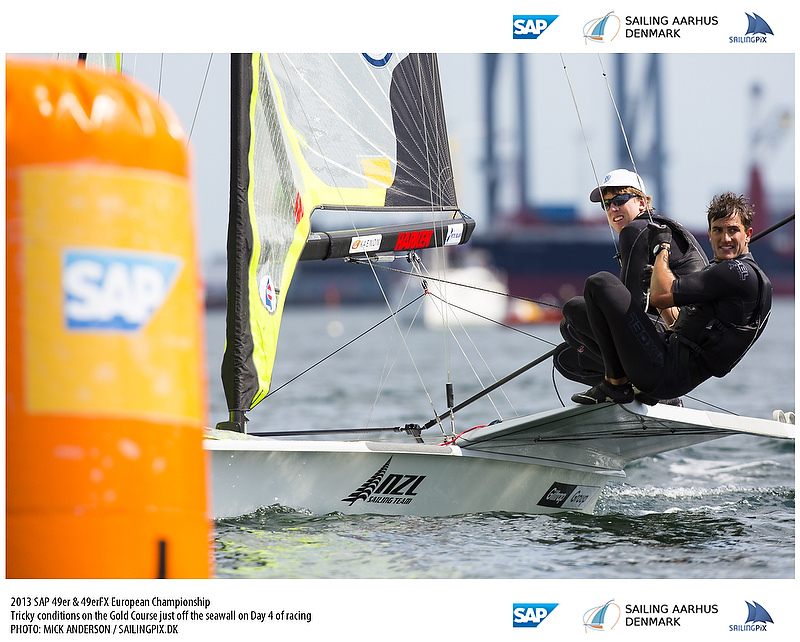 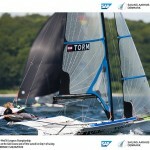 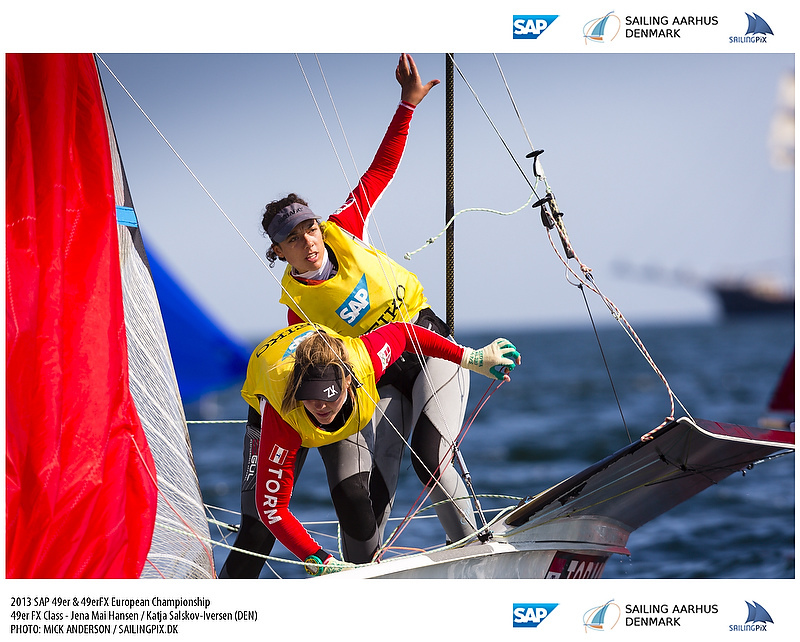 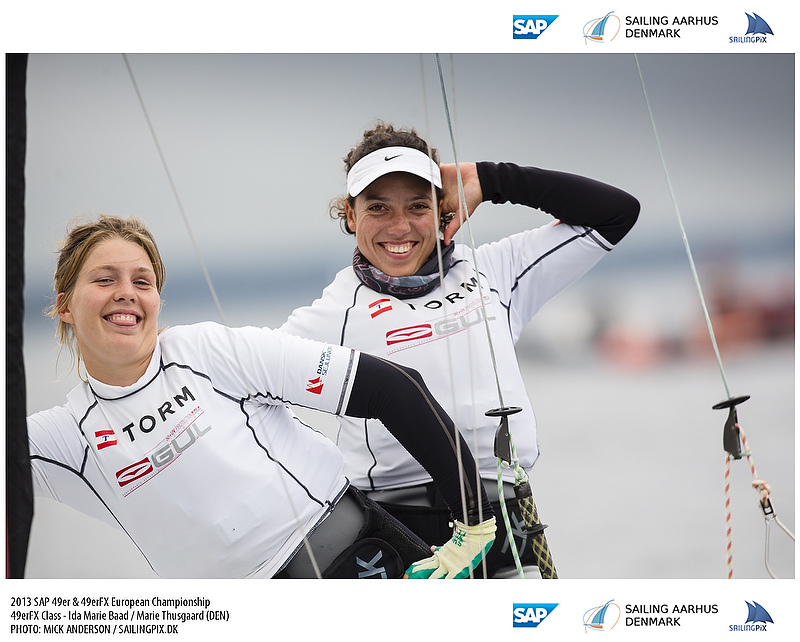 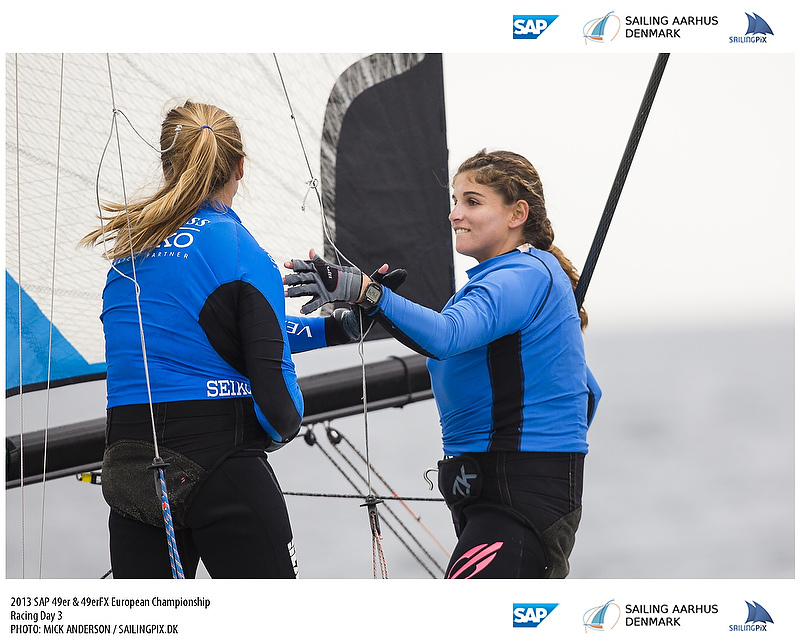 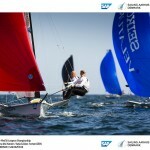 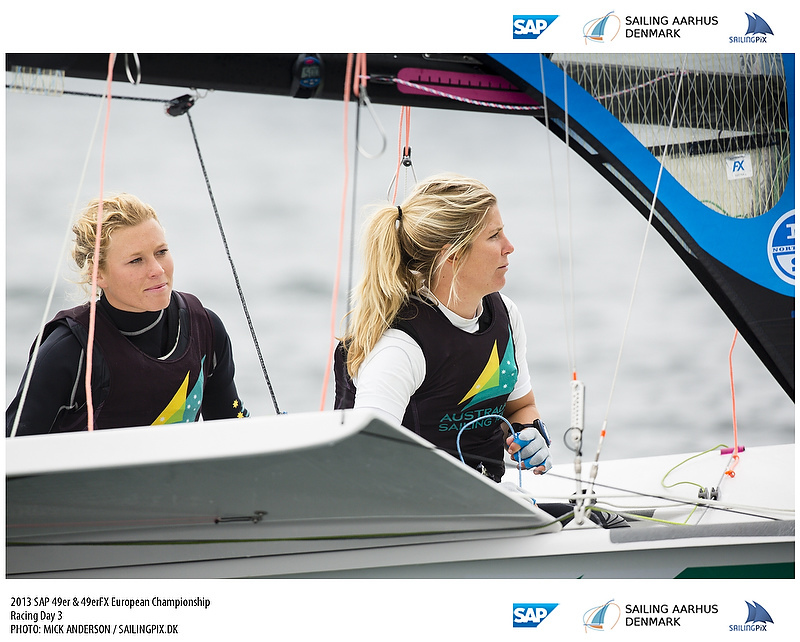 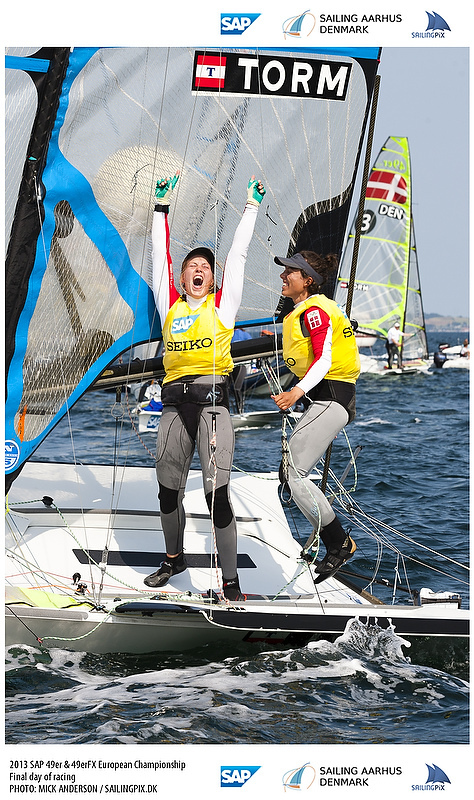 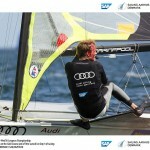 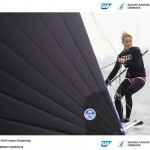 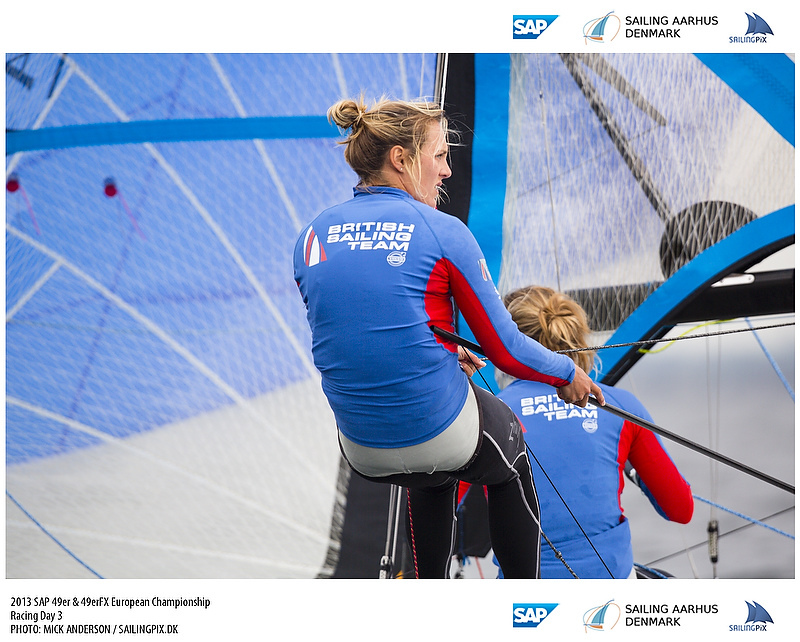 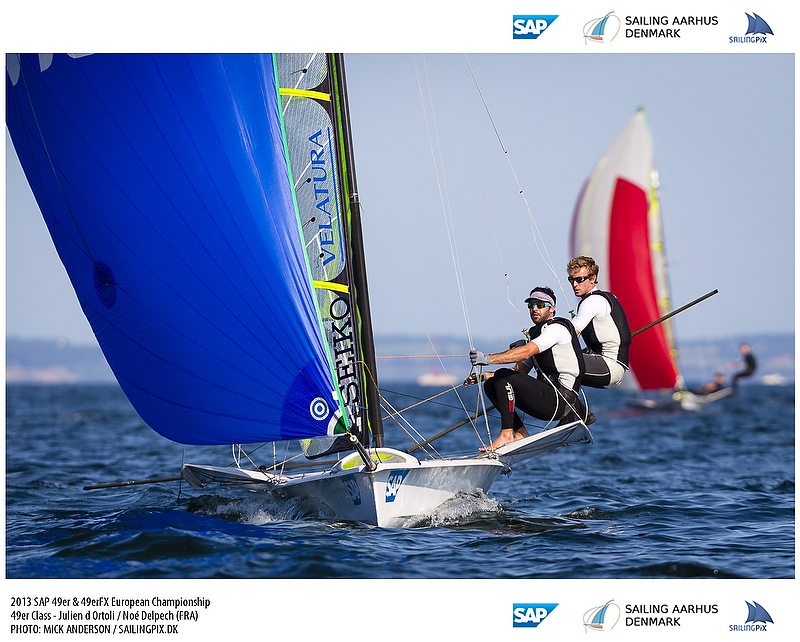 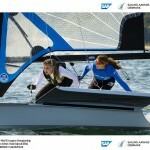 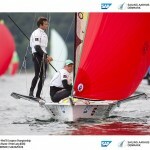 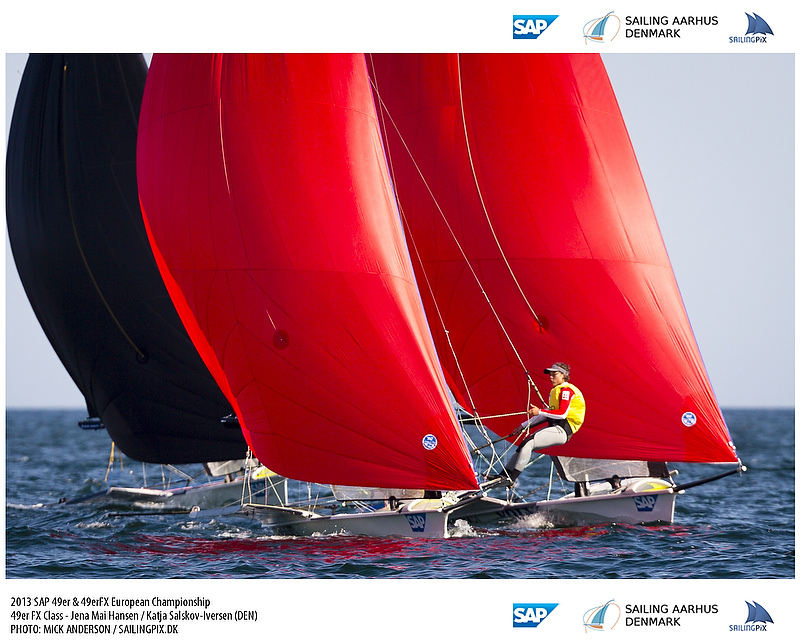 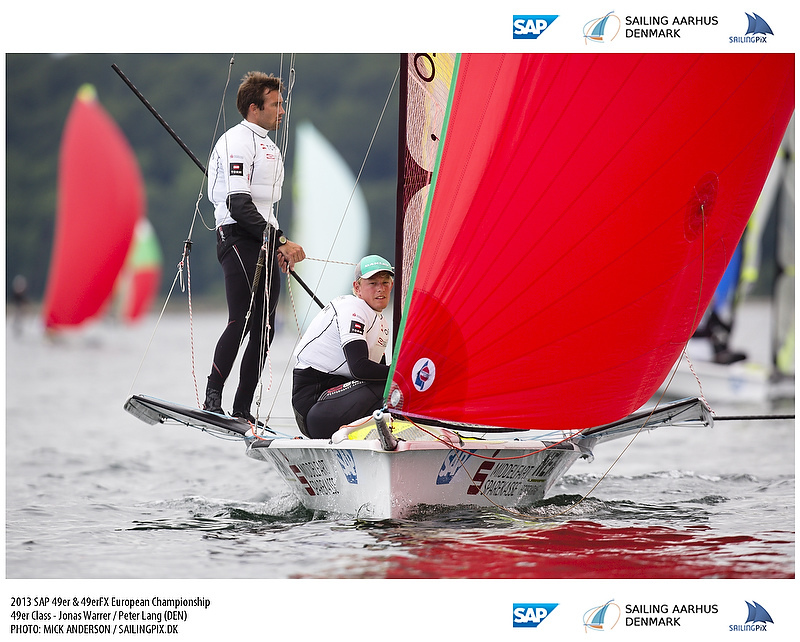 To complement the livestream, we will have SAP sailing analytics, a suite of tools that helps analyze the race in real time running for those who want to delve into the detail of how some teams are getting ahead. 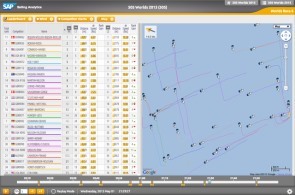 In addition, there will be a gps raceviewer so that a 2D and 3D representation of the racing is shown. 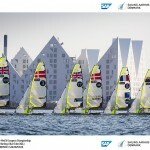 Each boat will carry a gps tracking unit so we can watch the battles unfold in real time and replay at your leisure. 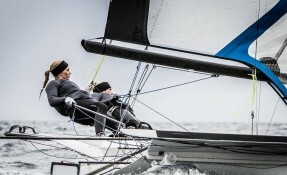 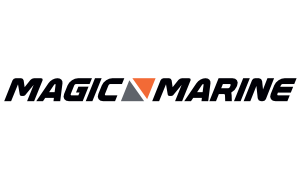 The racing will also be taped and broadcast as an episode of Inside Sailing, the magazine sports show broadcast in over 100 countries is expected to generate 490 million impressions. 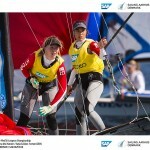 The list of channels taking inside sailing is growing all the time and this 26 minute episode will be broadcast many times over.